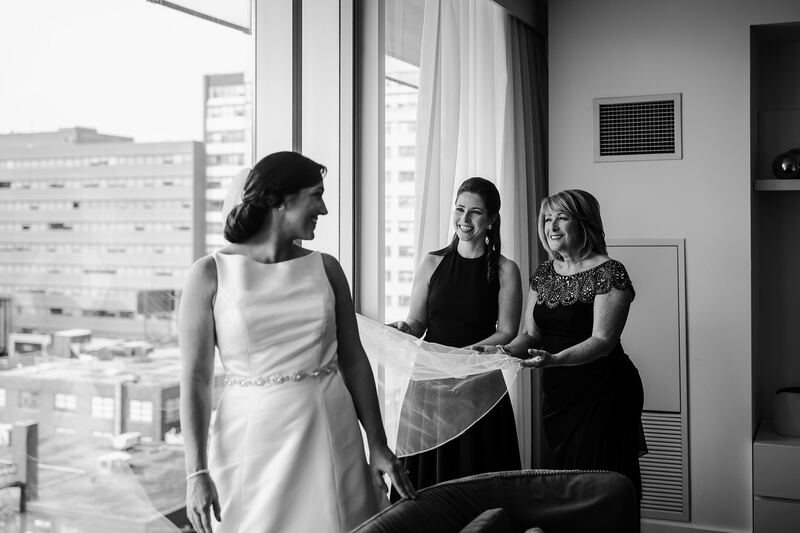 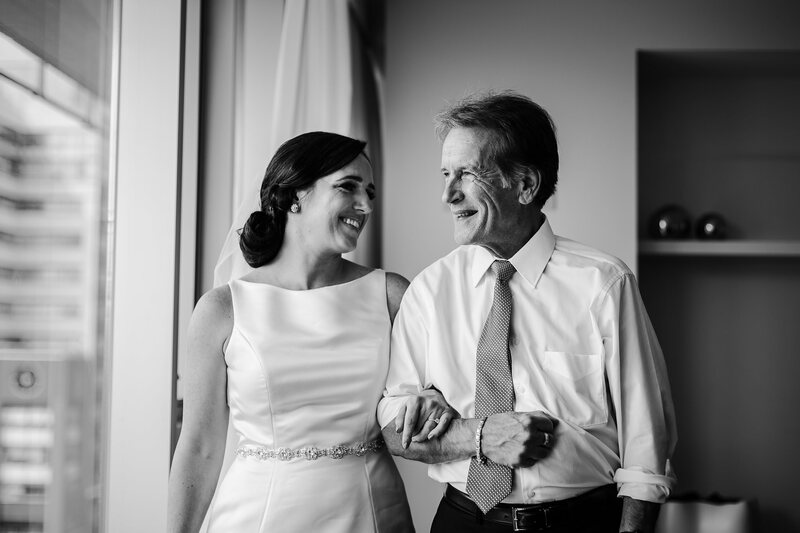 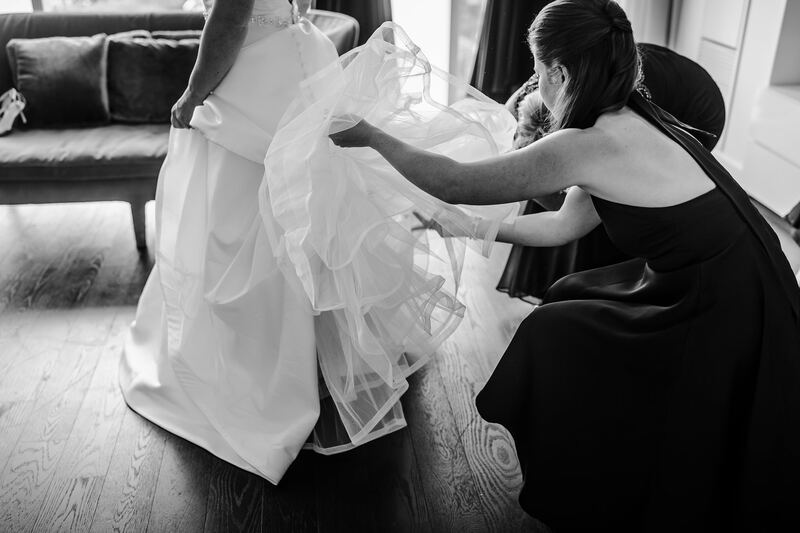 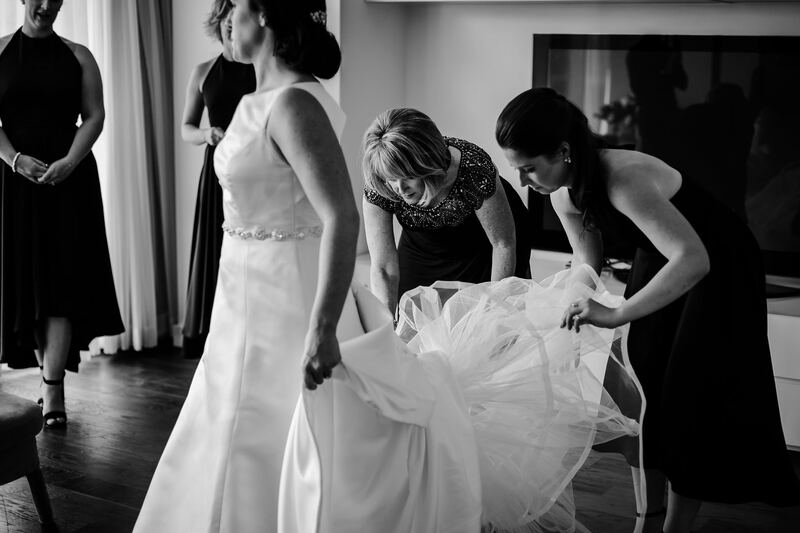 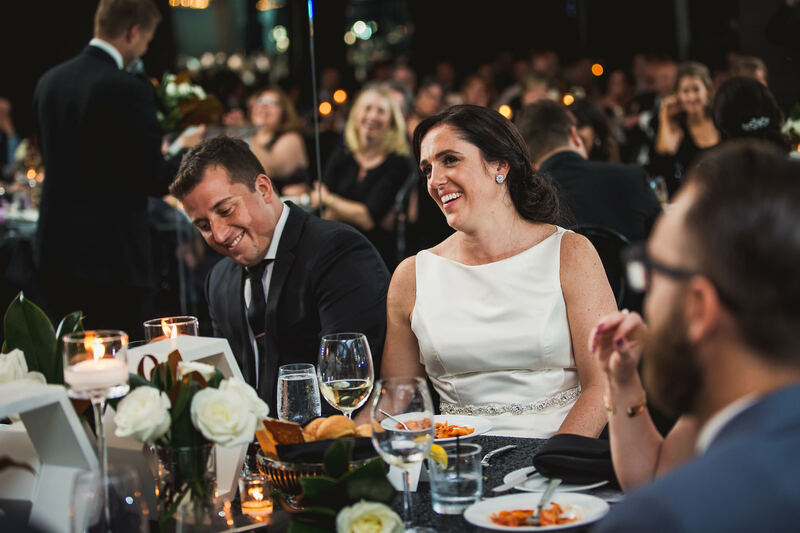 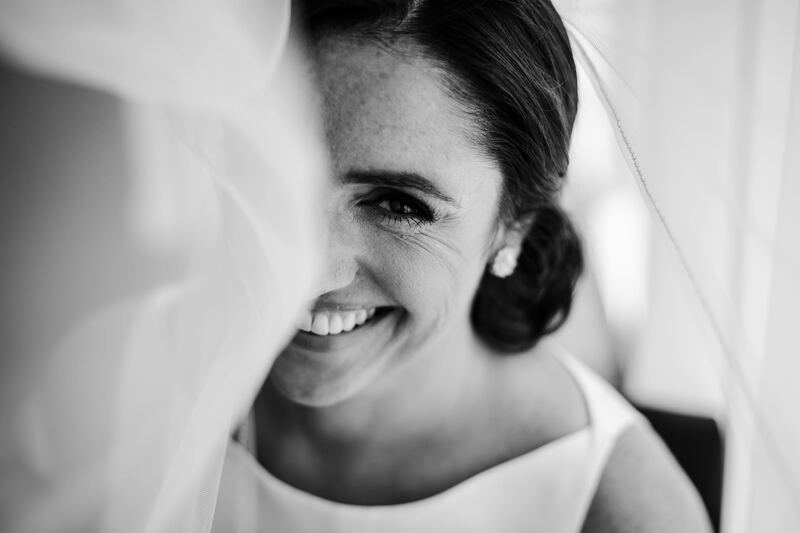 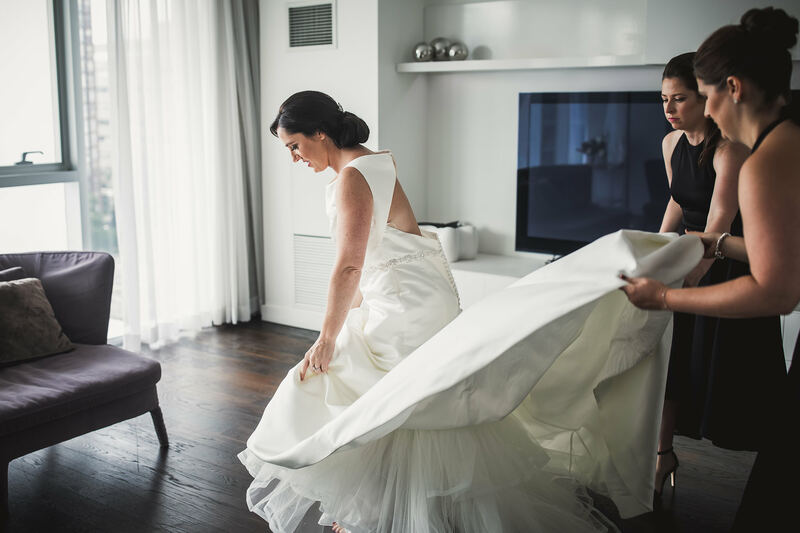 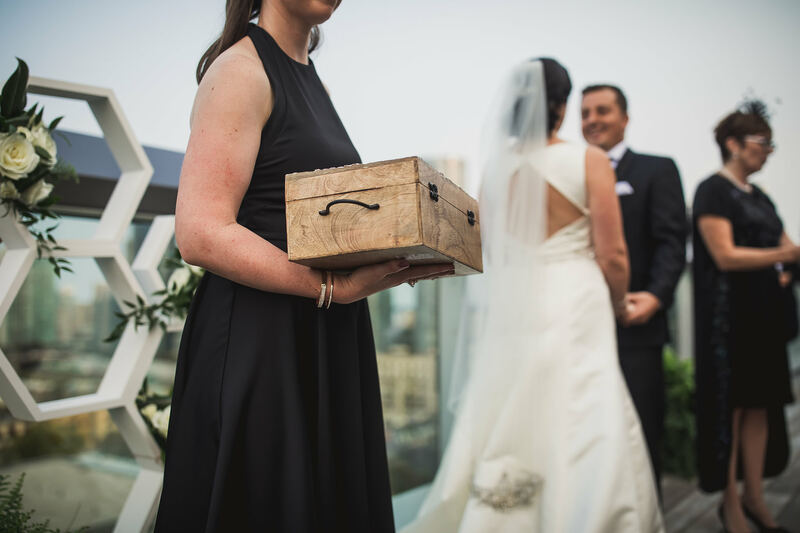 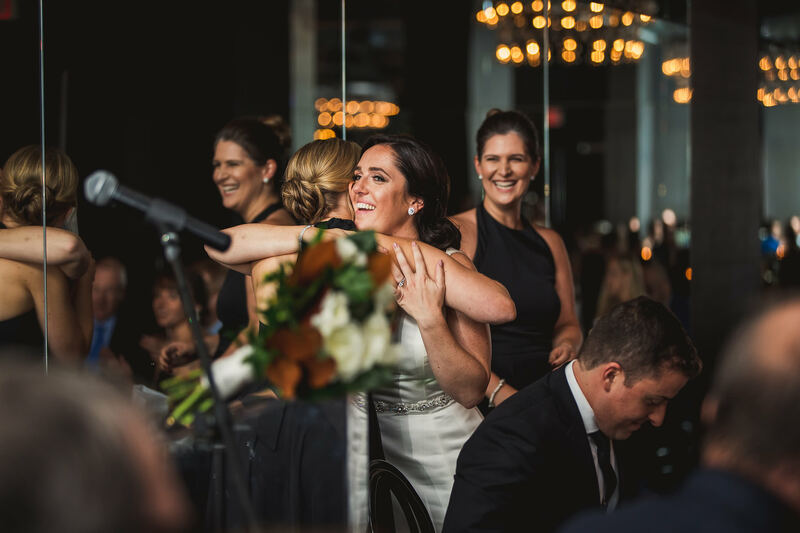 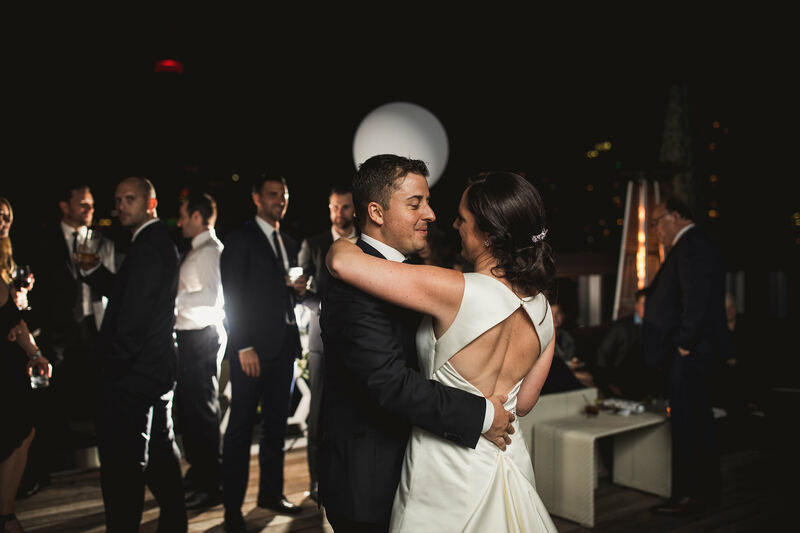 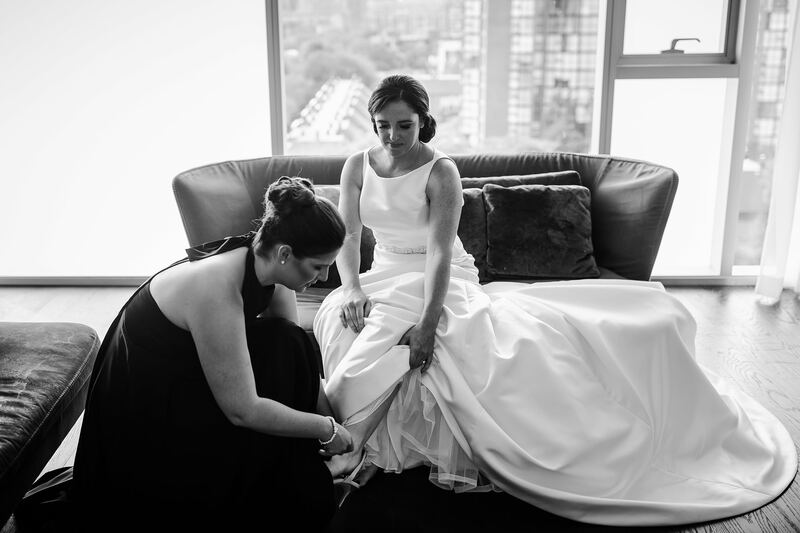 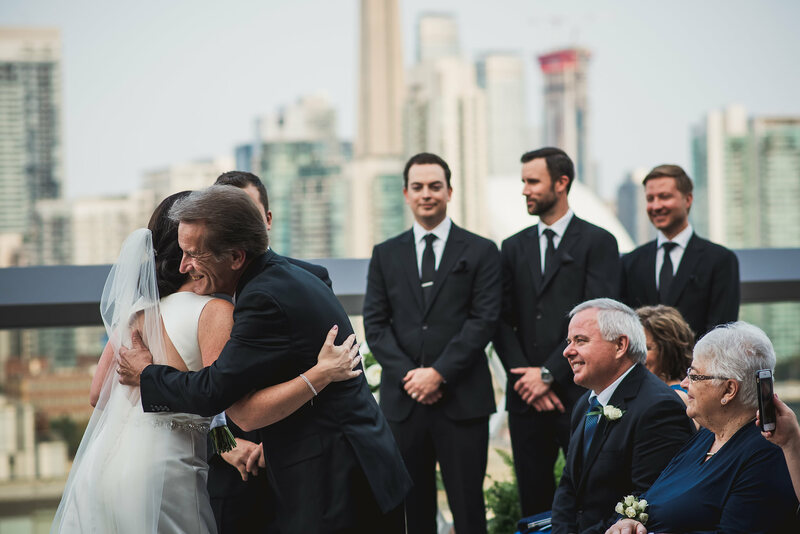 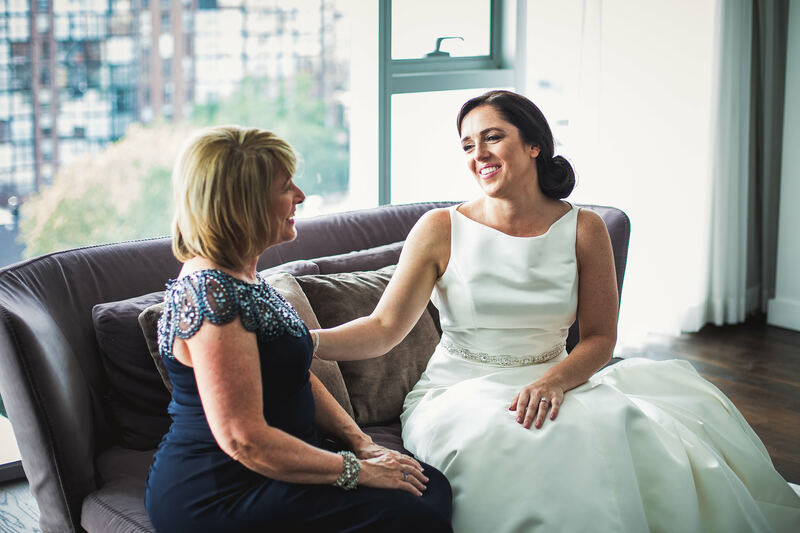 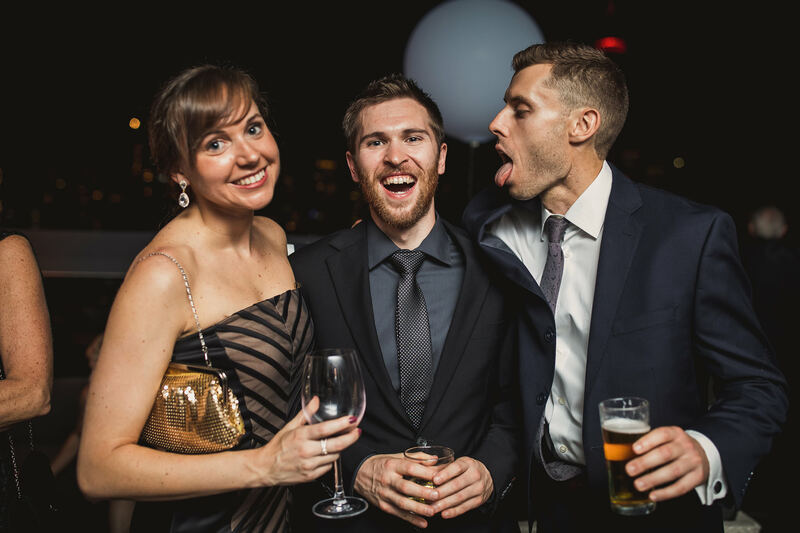 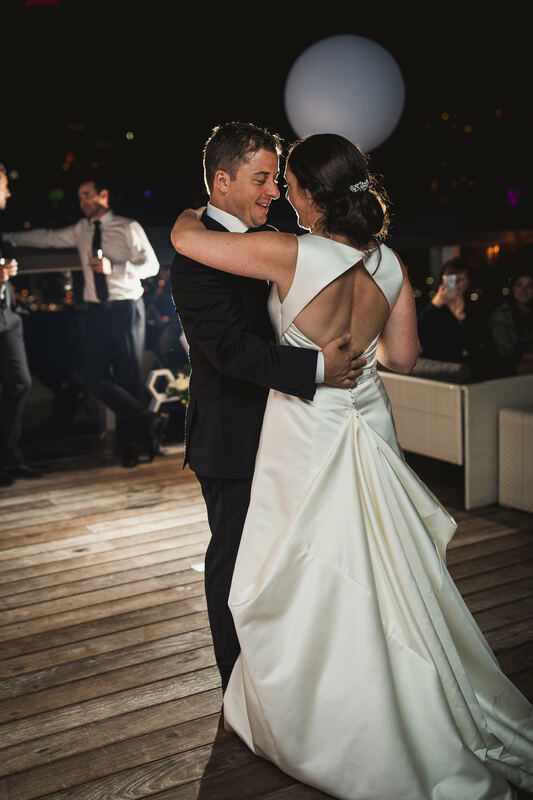 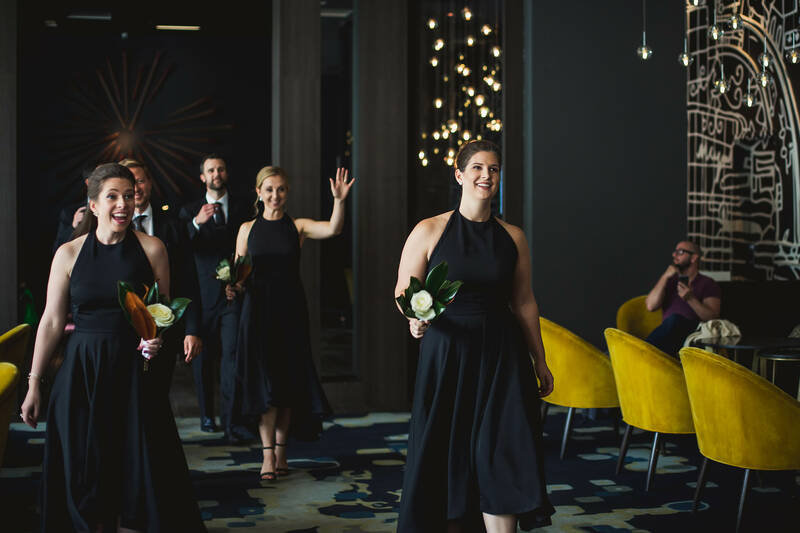 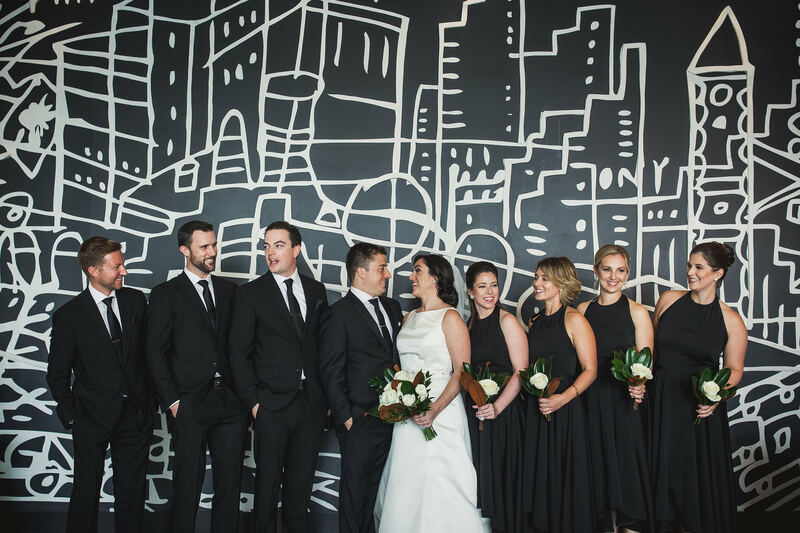 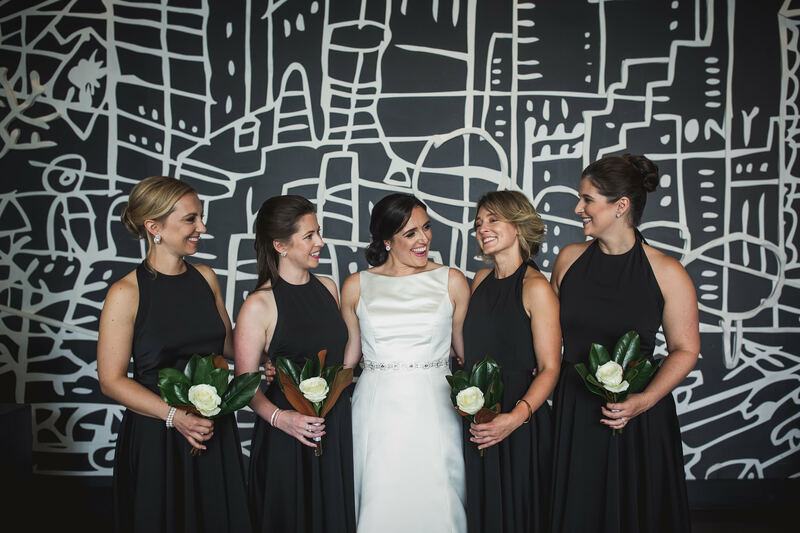 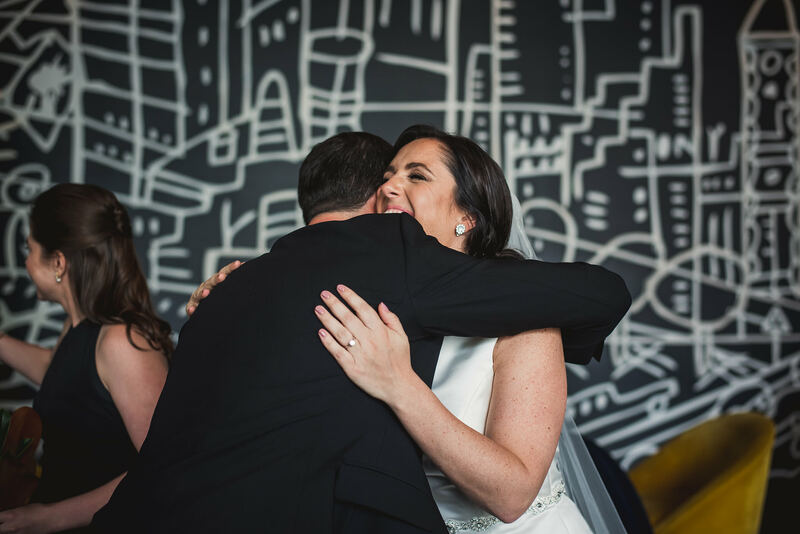 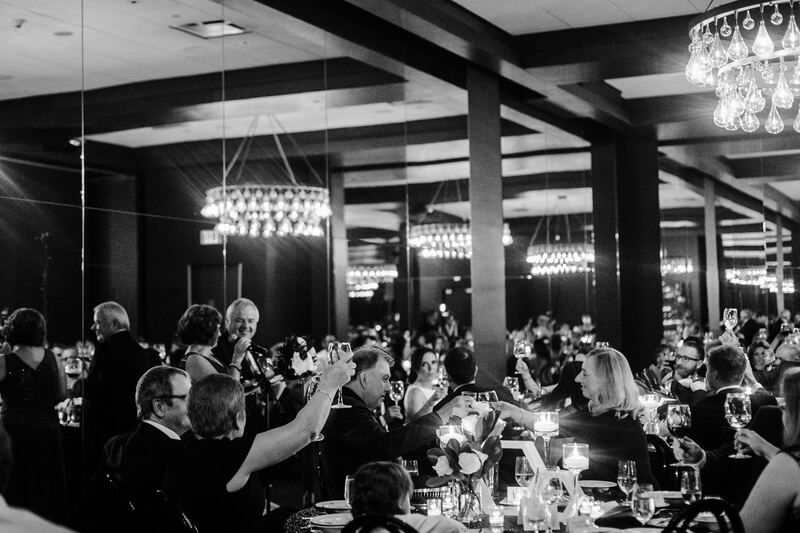 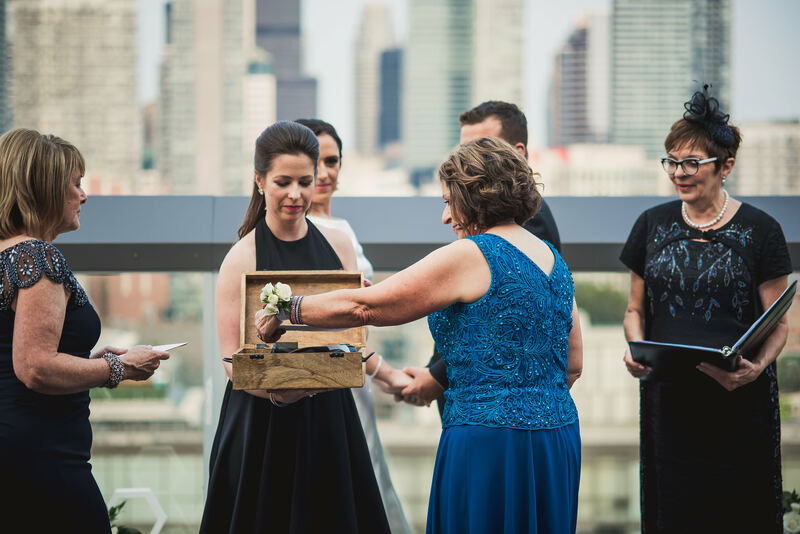 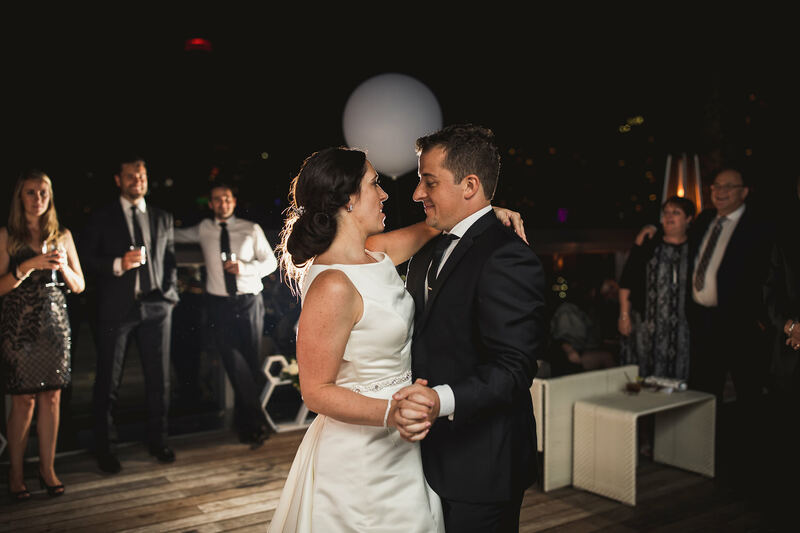 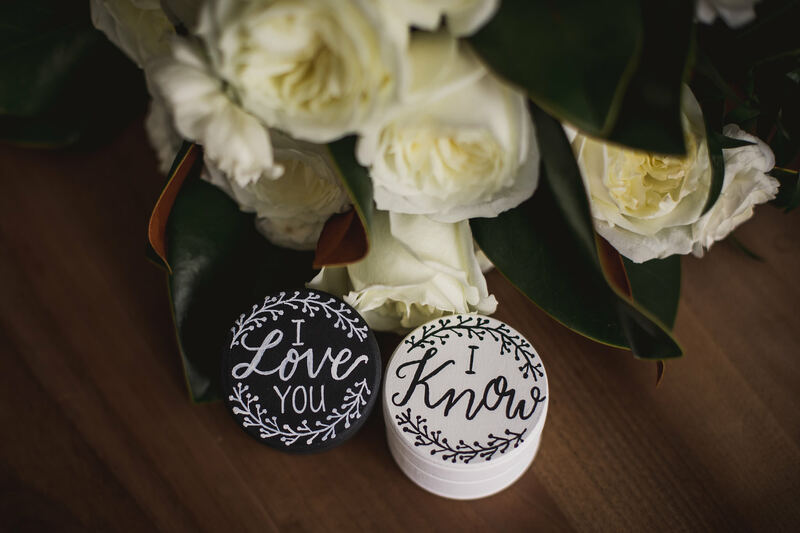 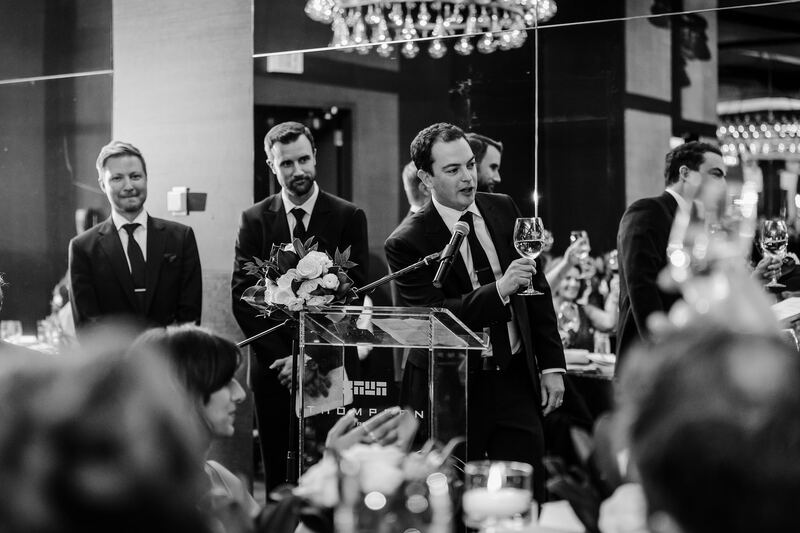 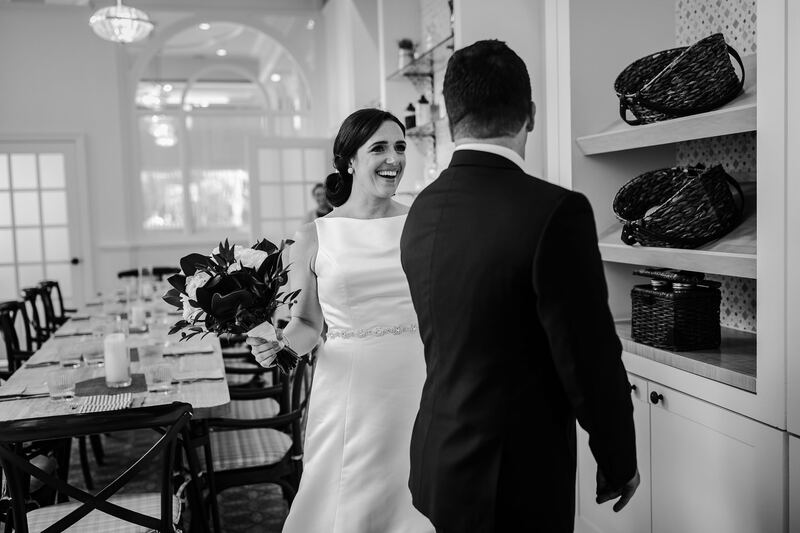 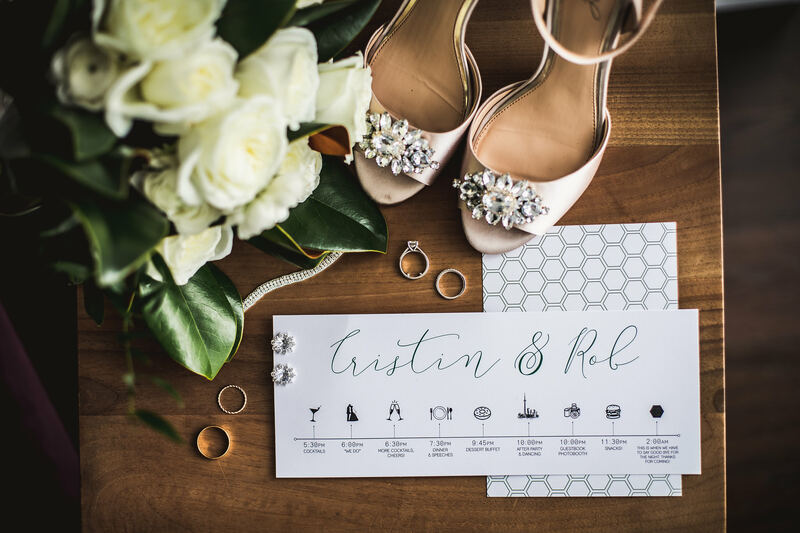 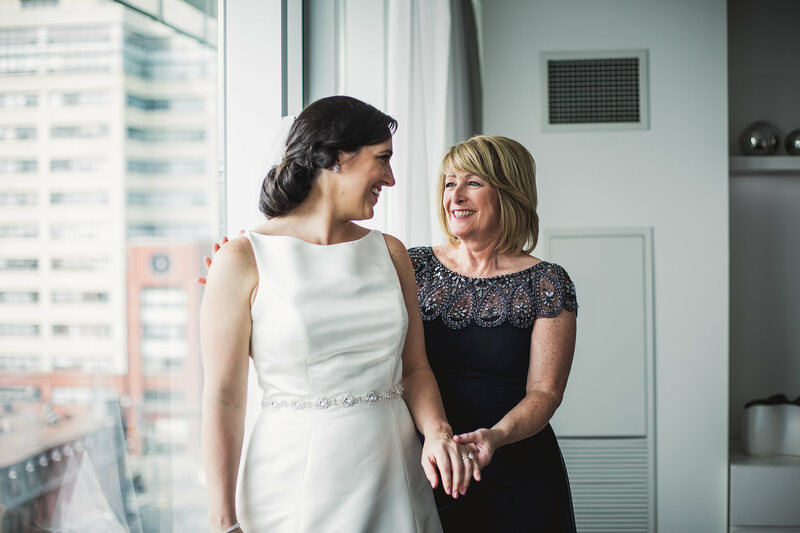 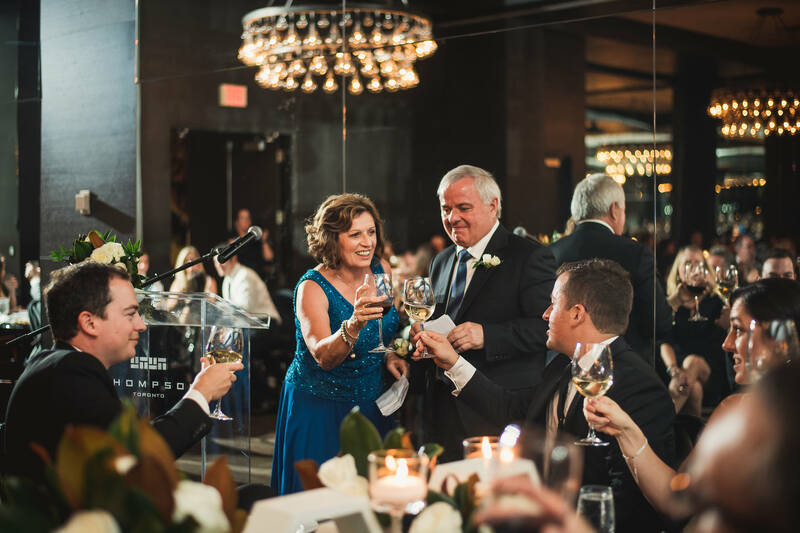 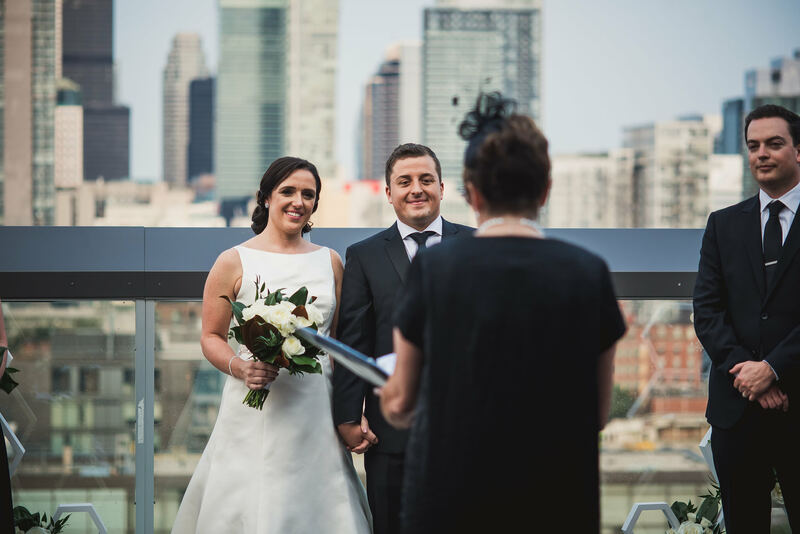 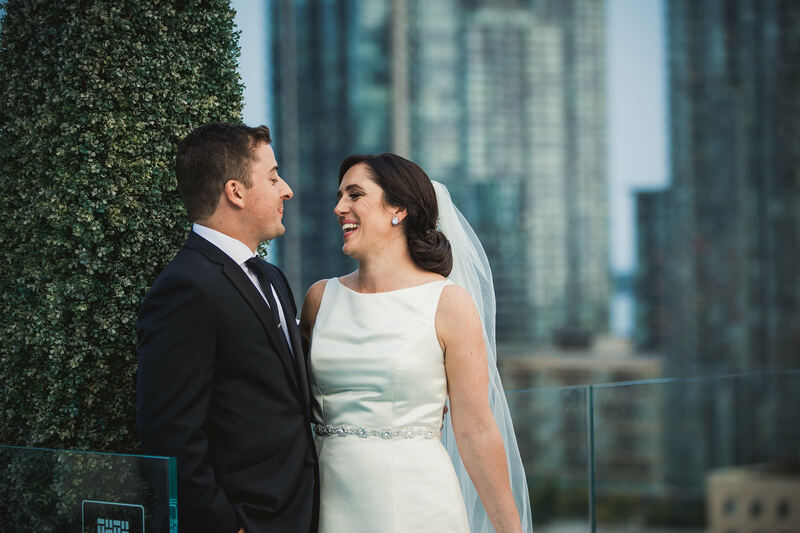 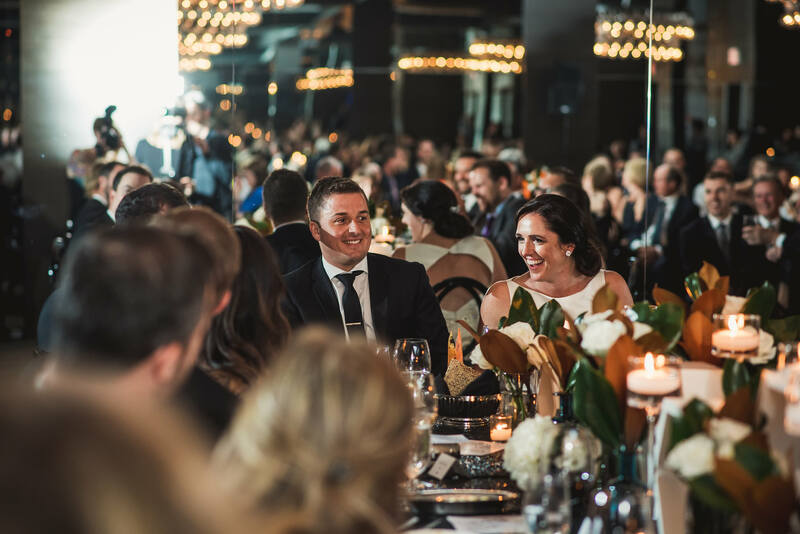 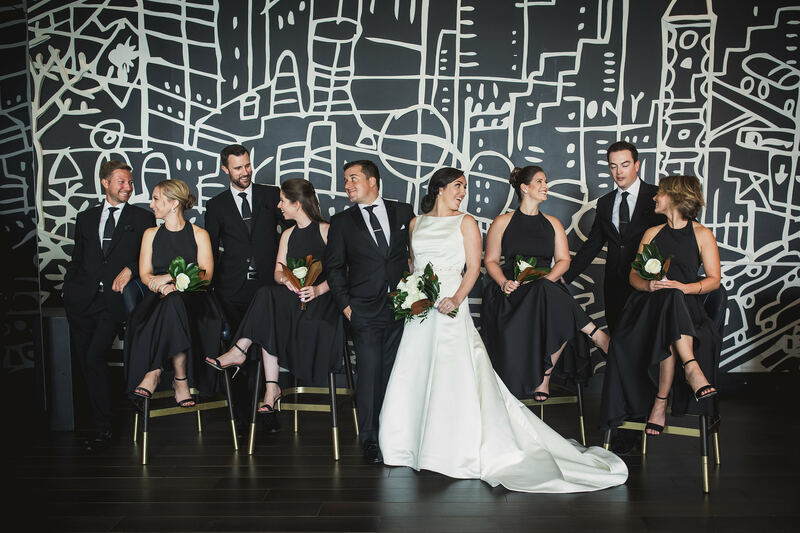 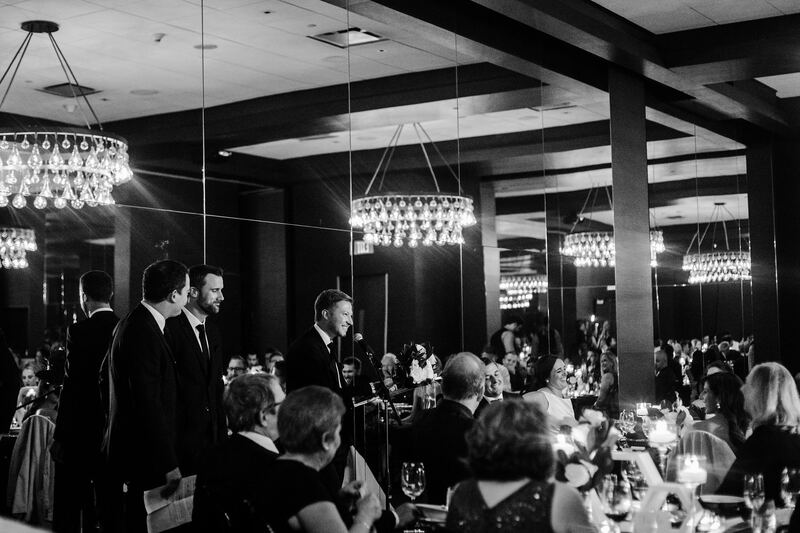 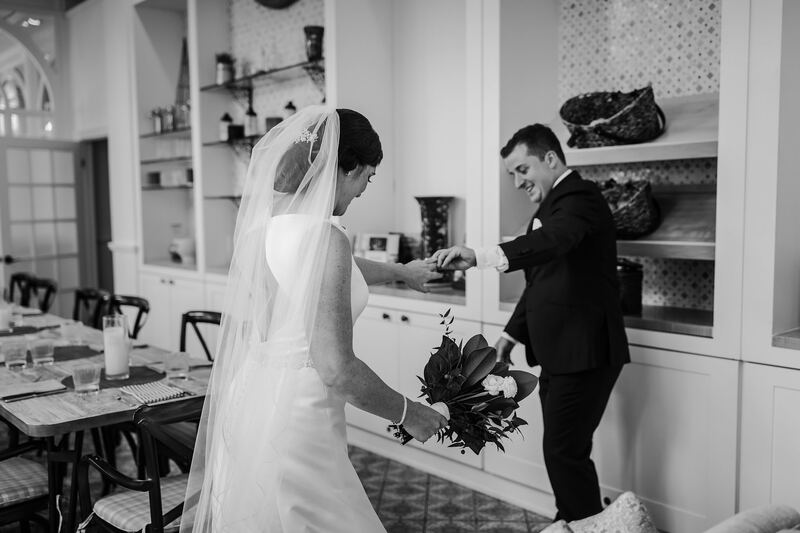 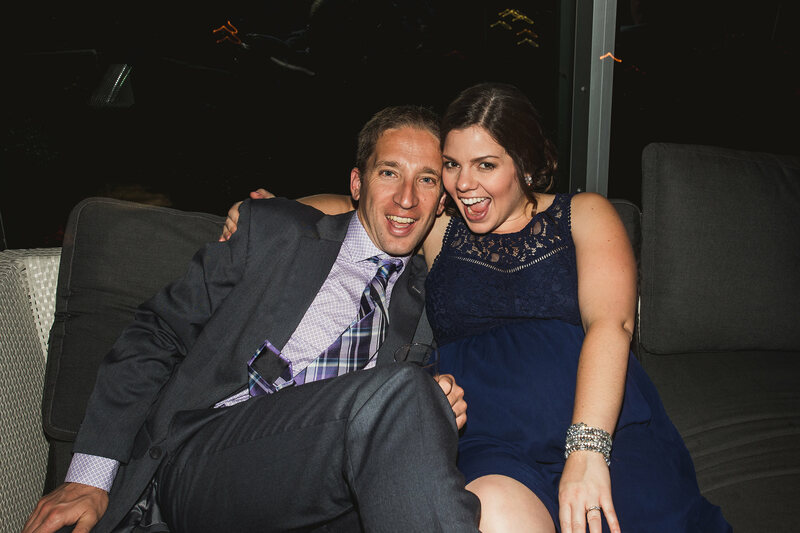 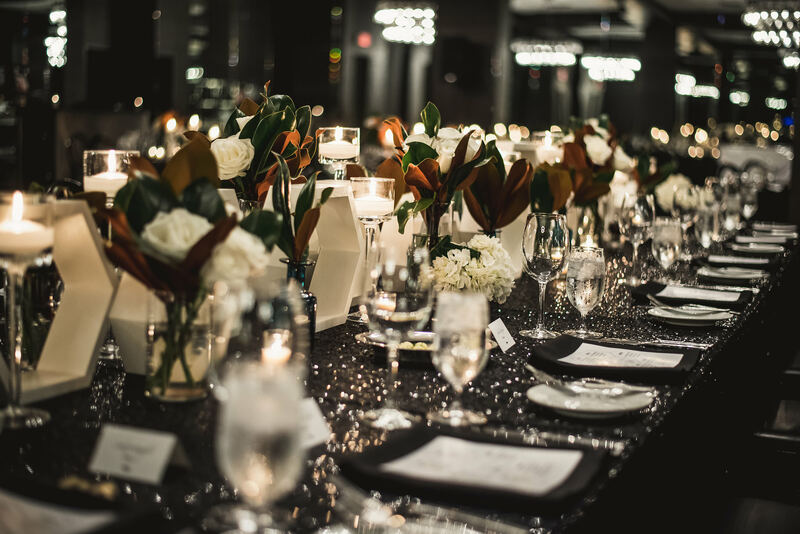 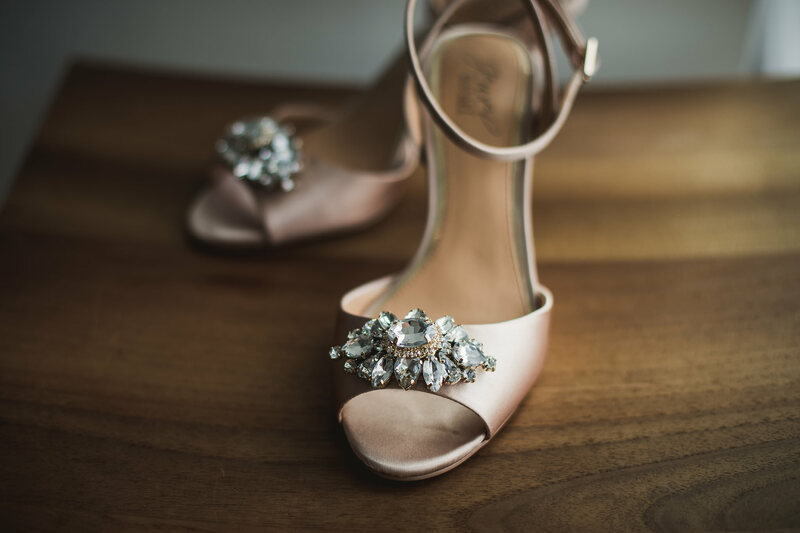 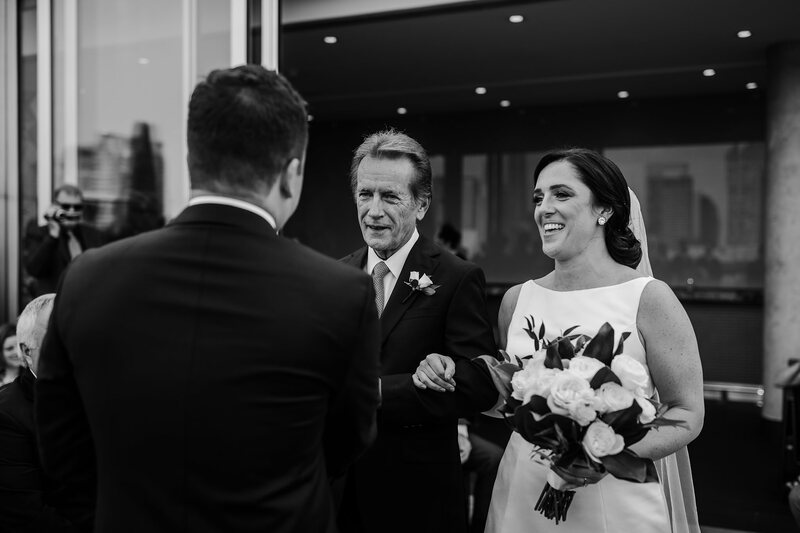 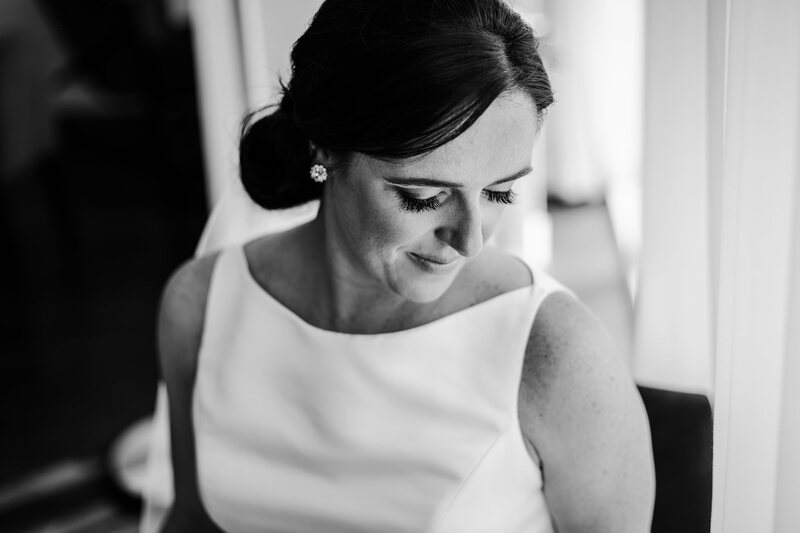 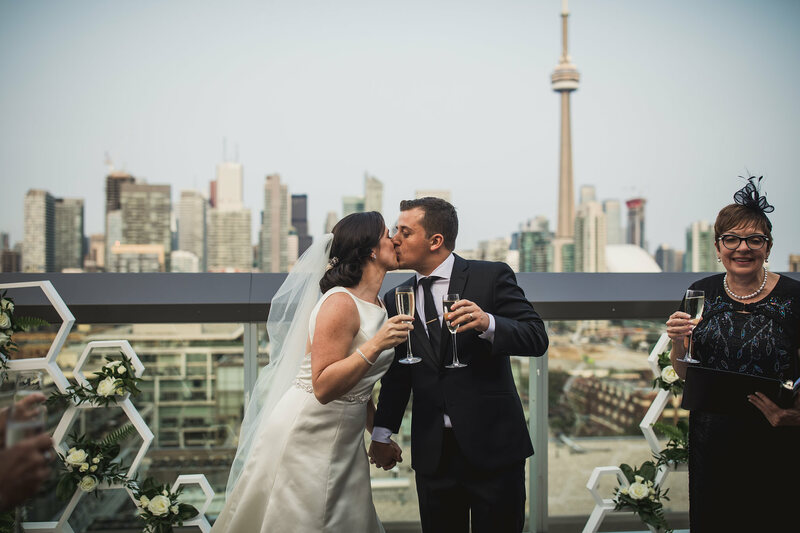 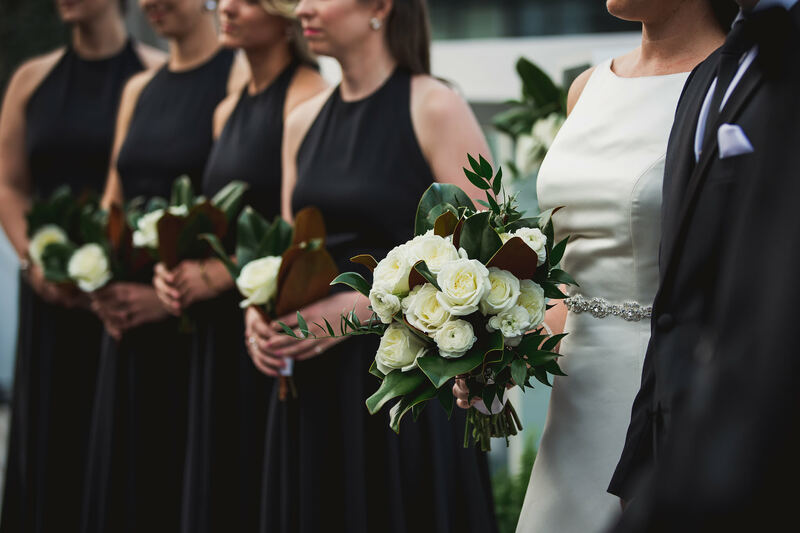 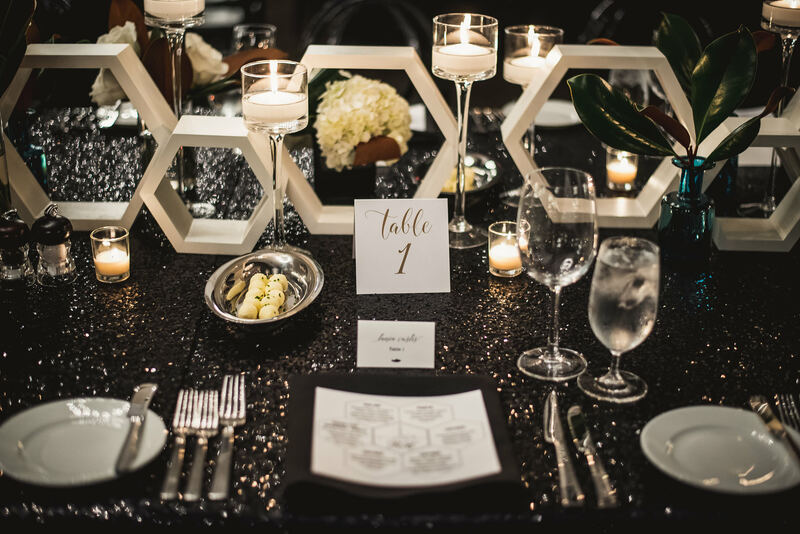 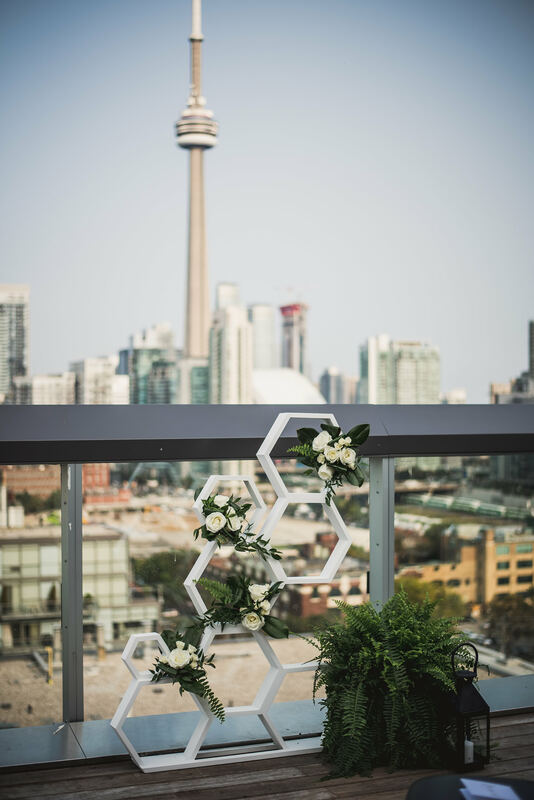 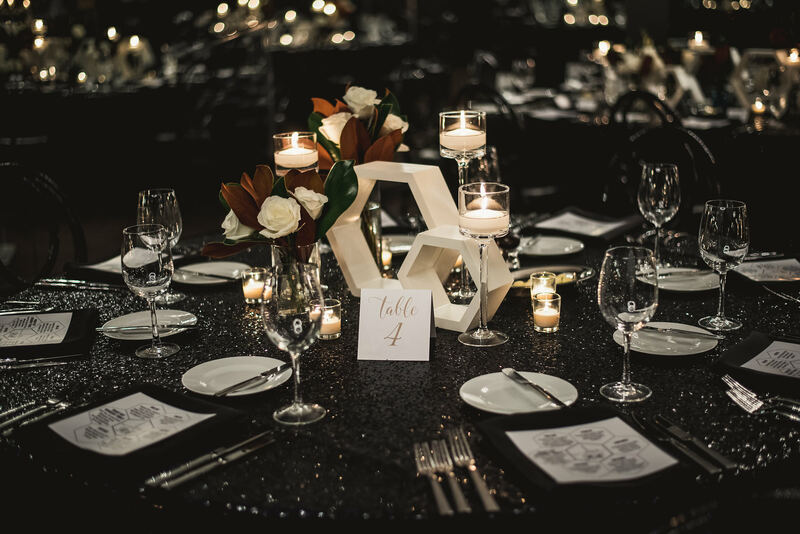 This Thompson Hotel wedding photos make our hearts absolutely burst with excitement. 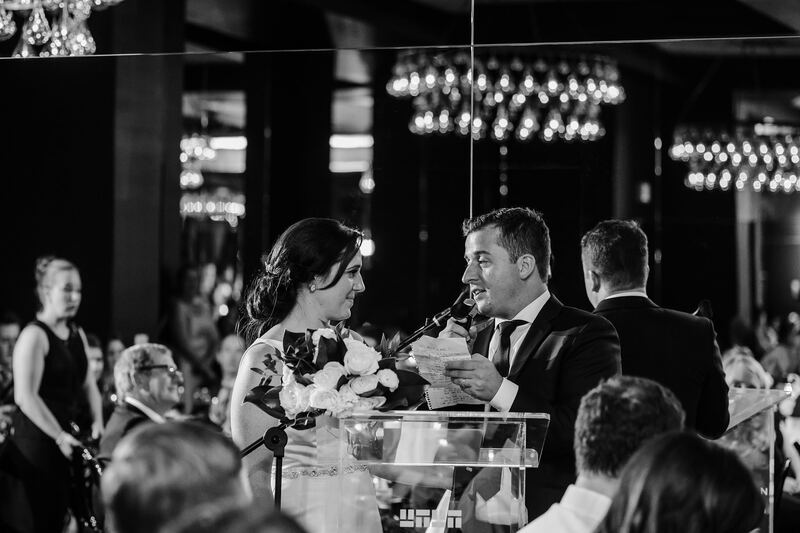 Everything was literally perfect; the weather, the decor, the food – and most importantly, the couple! 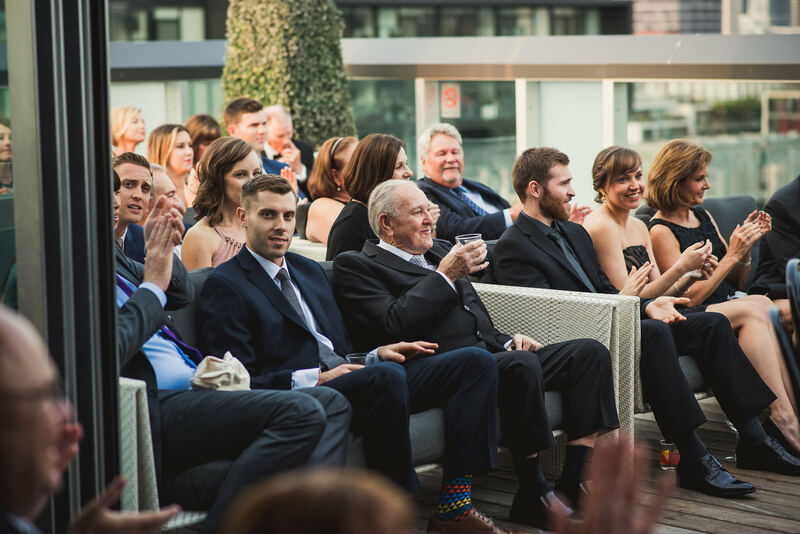 Everyone looked amazing and you can tell just how genuinely happy every single person is – the smiles are endless! 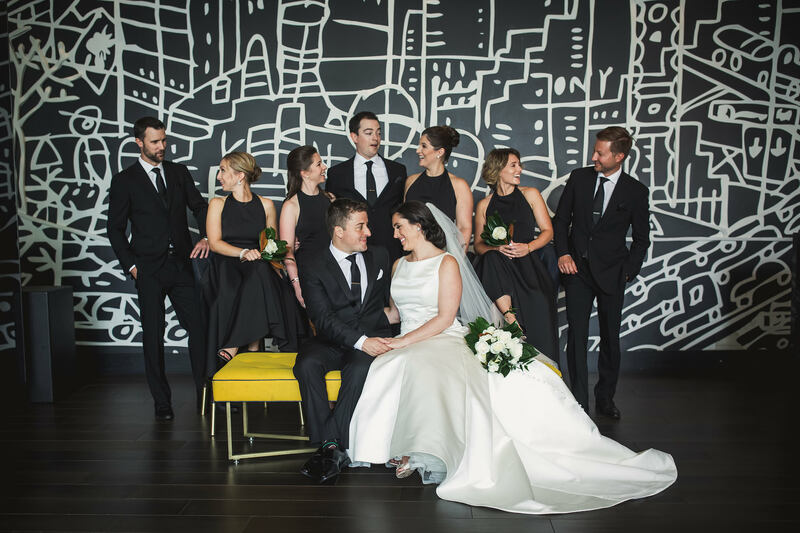 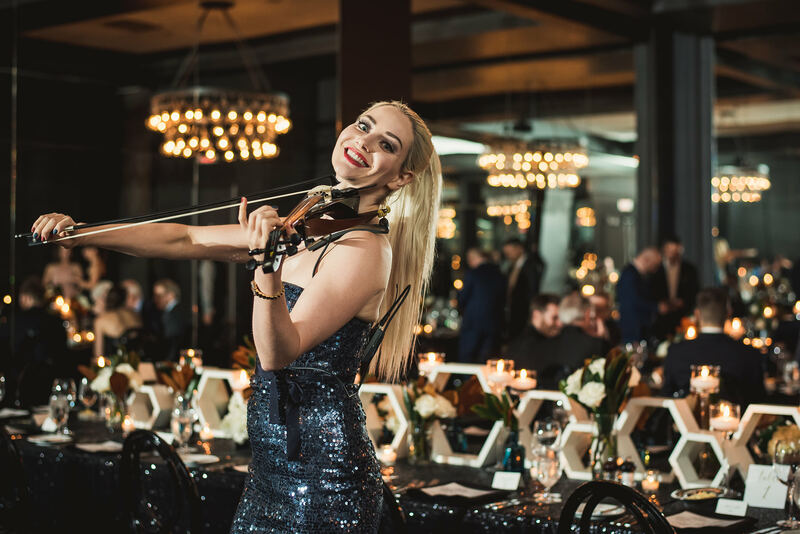 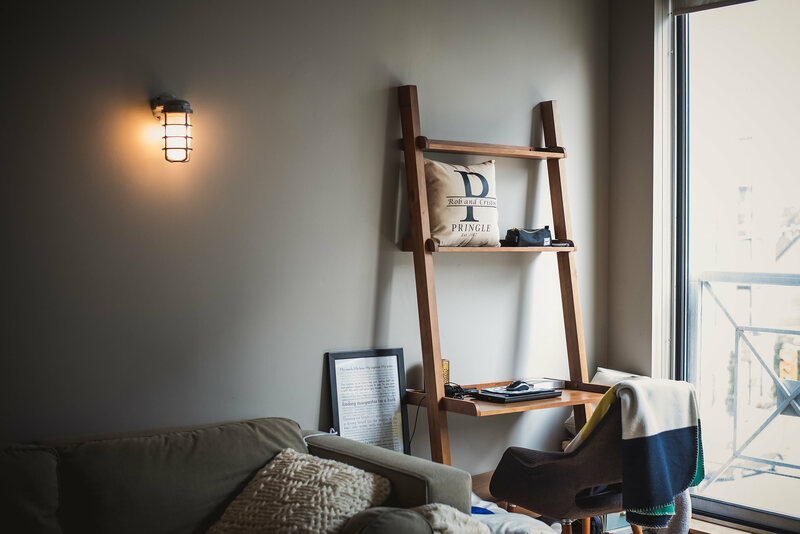 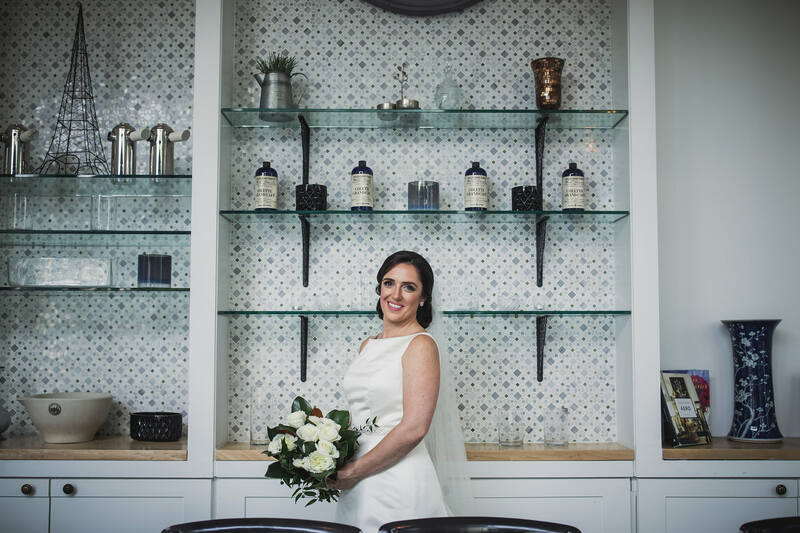 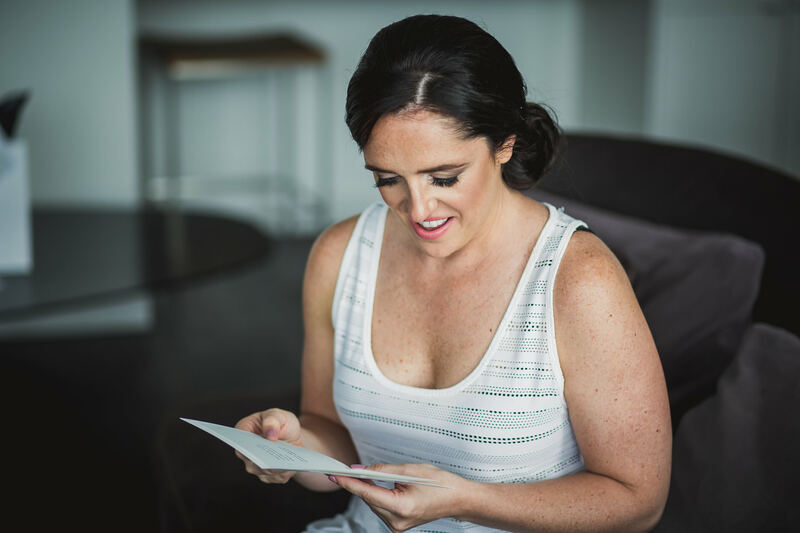 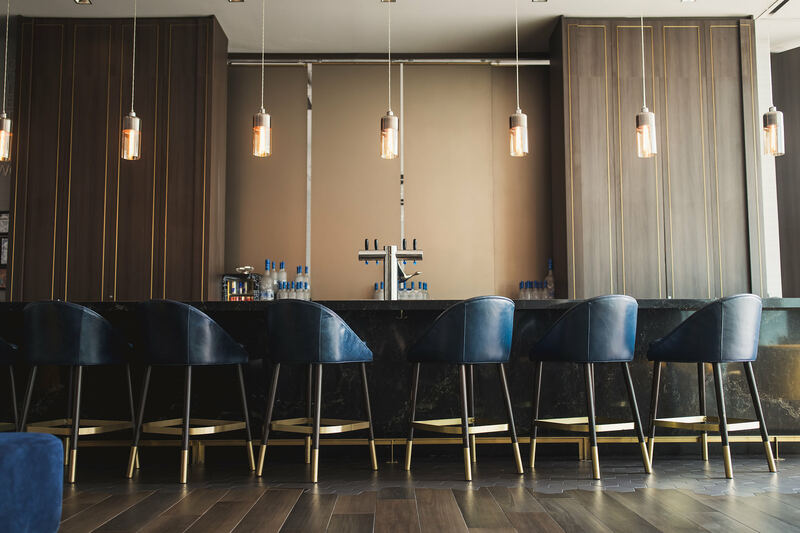 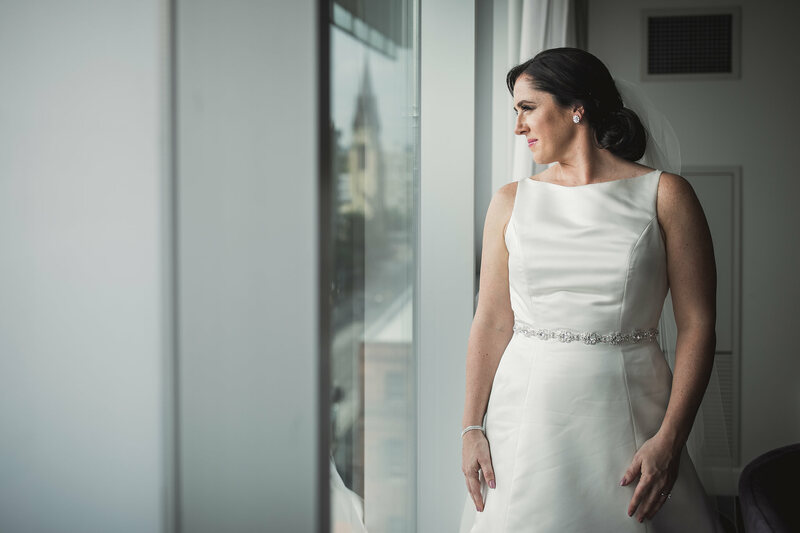 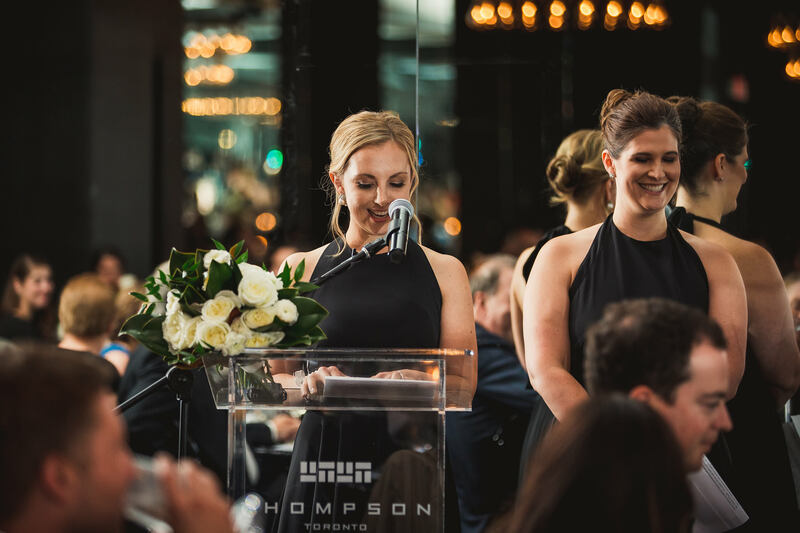 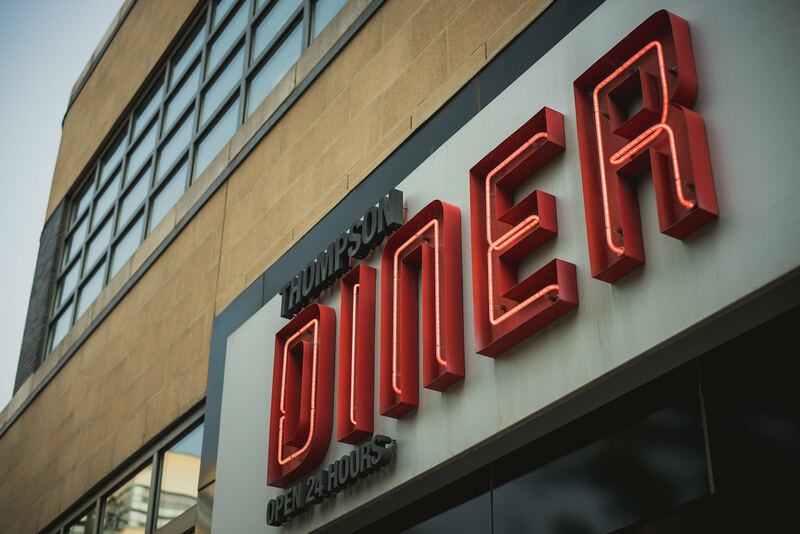 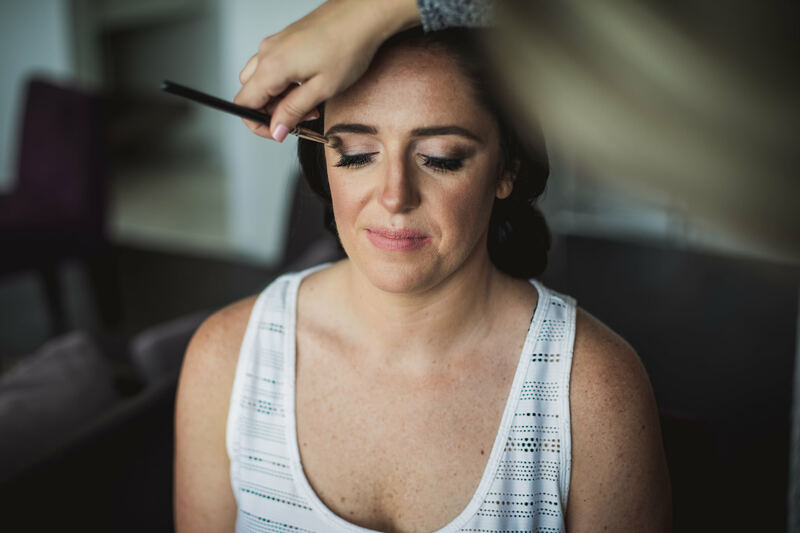 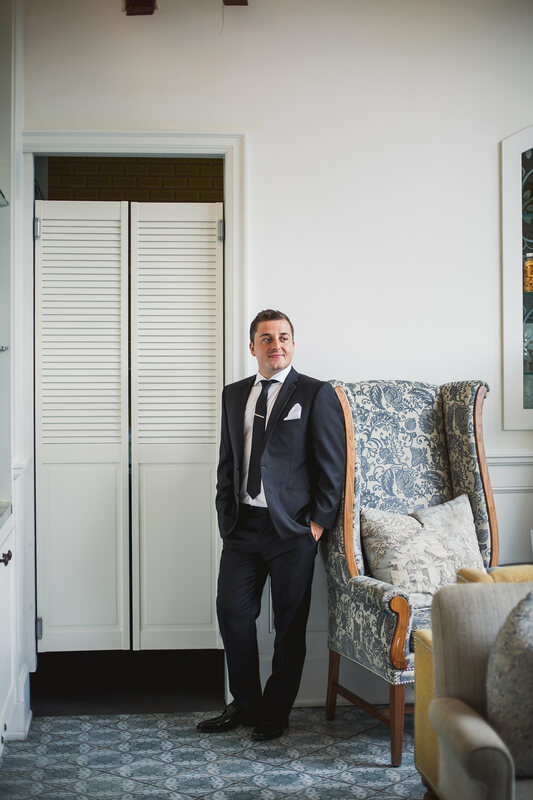 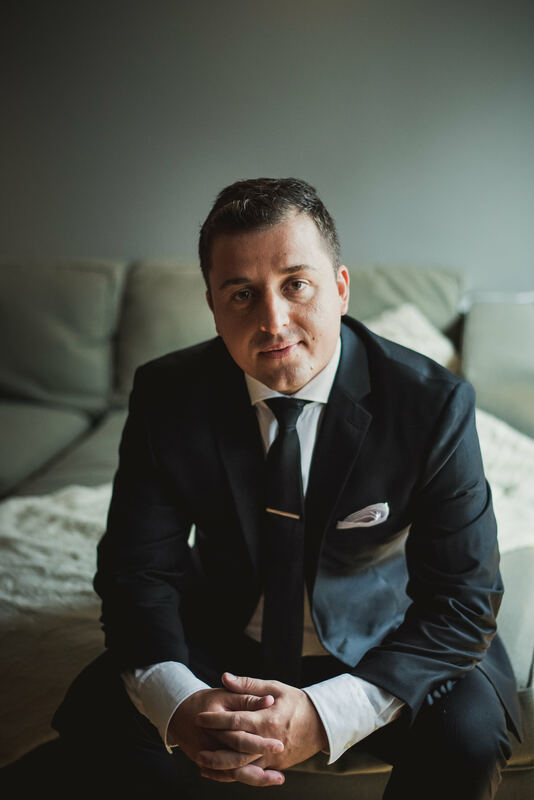 If you’re considering Thompson Hotel wedding photos, you need to change that “maybe” to a “YES!” It’s truly a phenomenal and versatile location to get married. 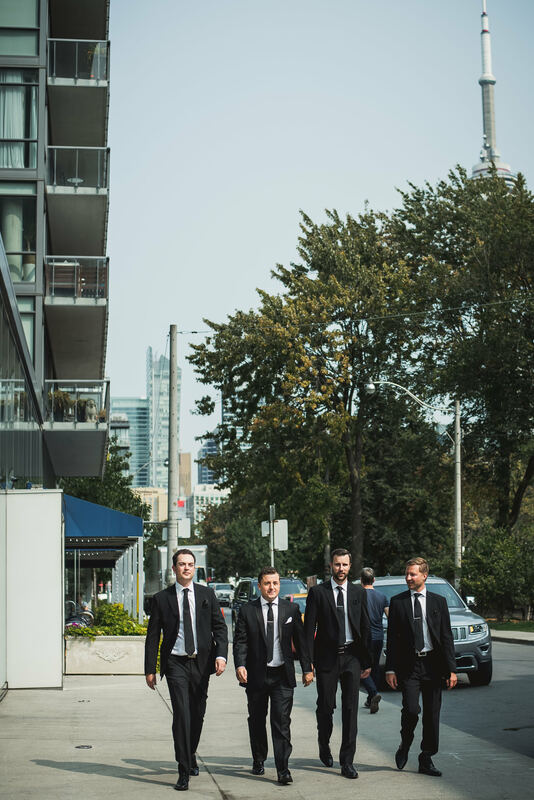 In fact, there are so many locations to shoot that even with an epic amount of photo time, we didn’t get to all the locations. 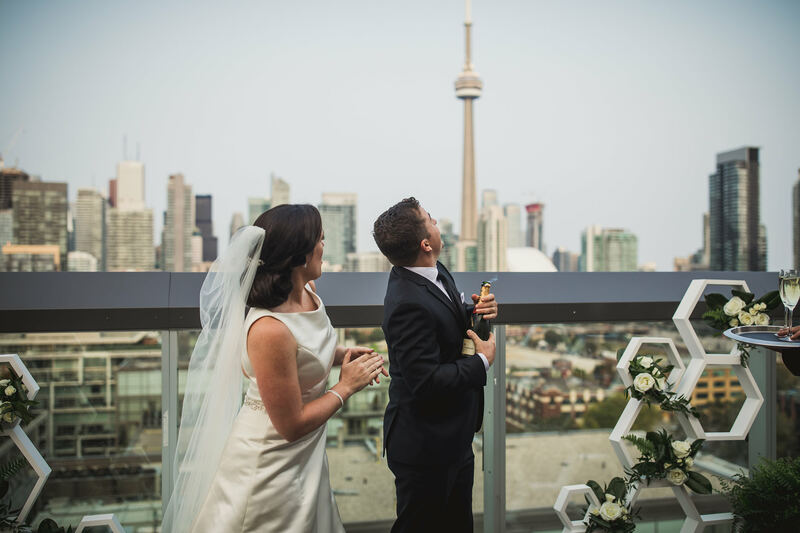 One of the best things about a Thompson hotel wedding, aside from the versatility of the location, is the view. 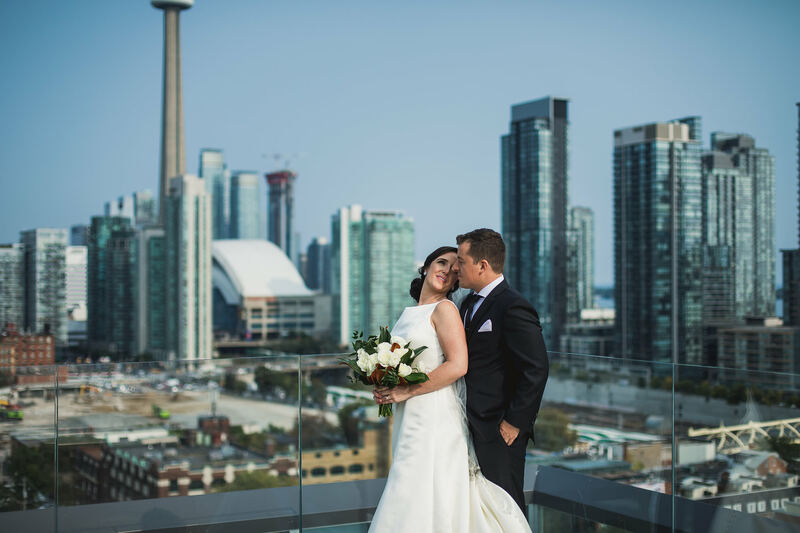 It’s pretty darn hard to beat that view! 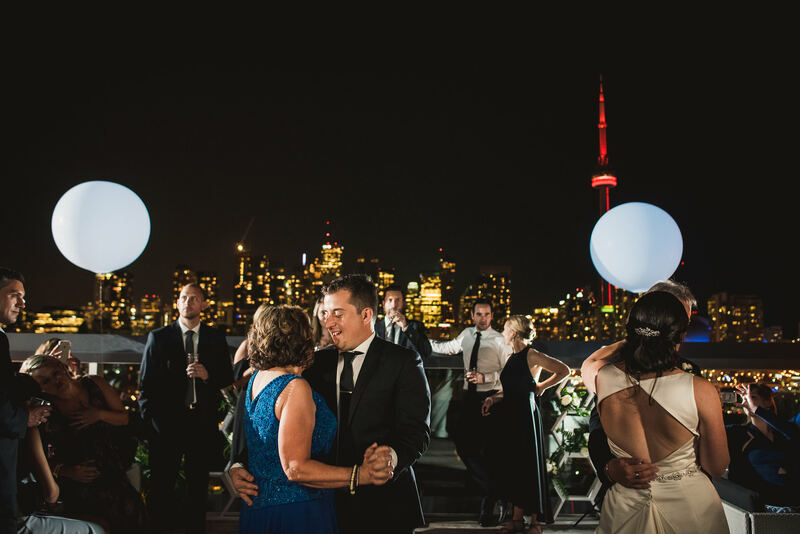 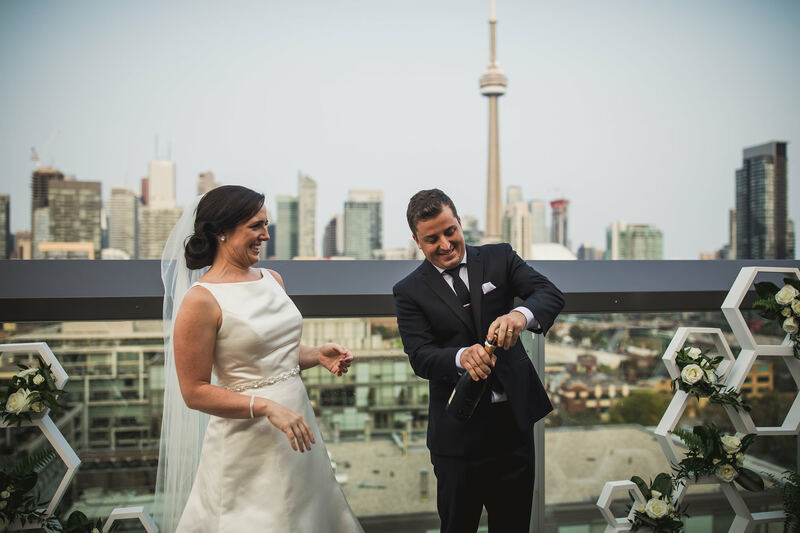 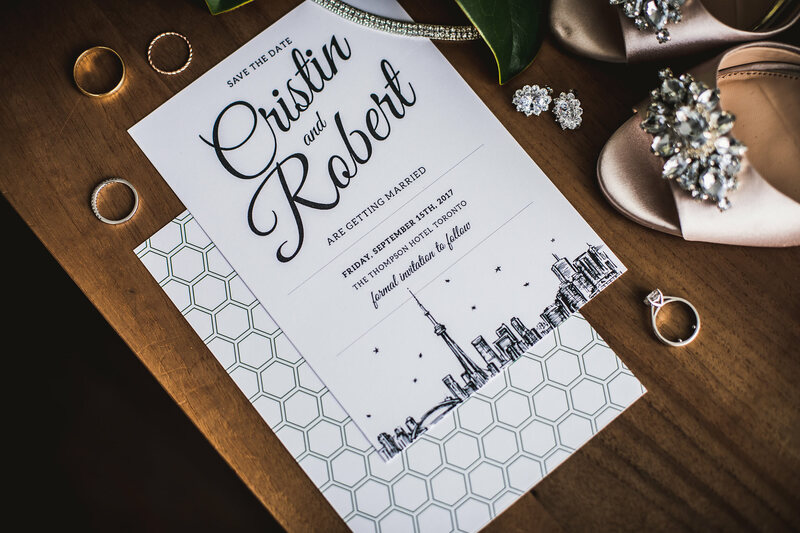 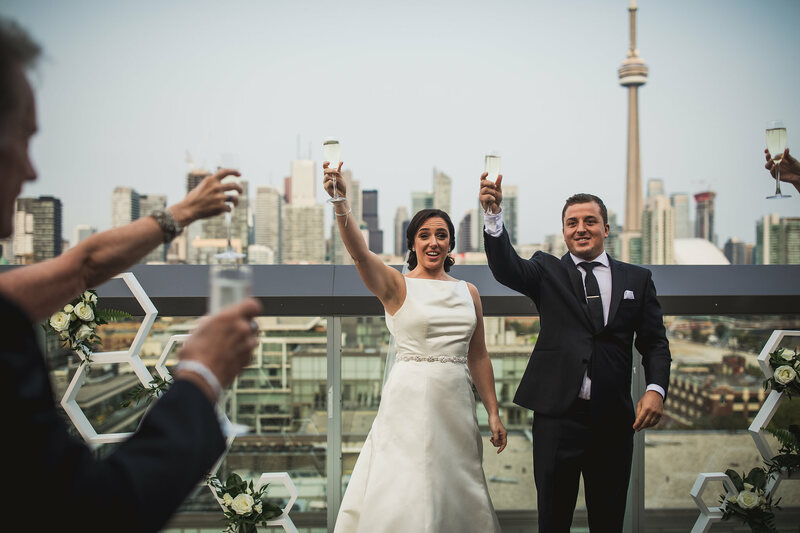 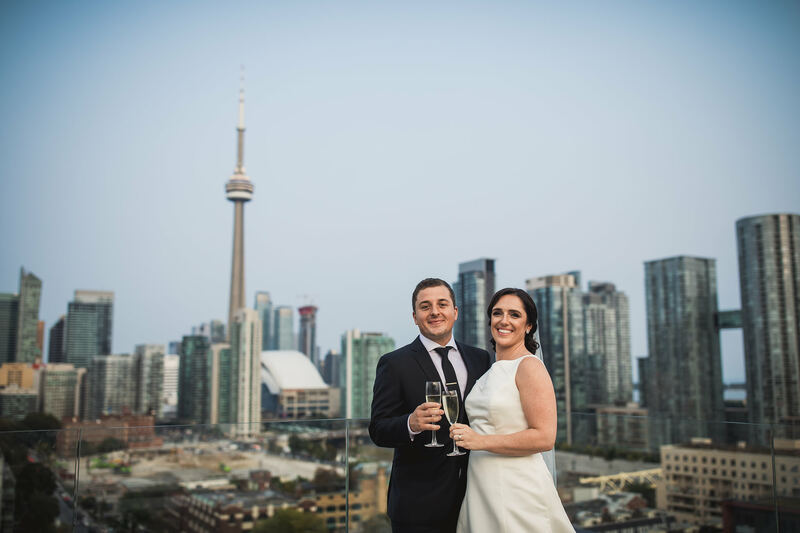 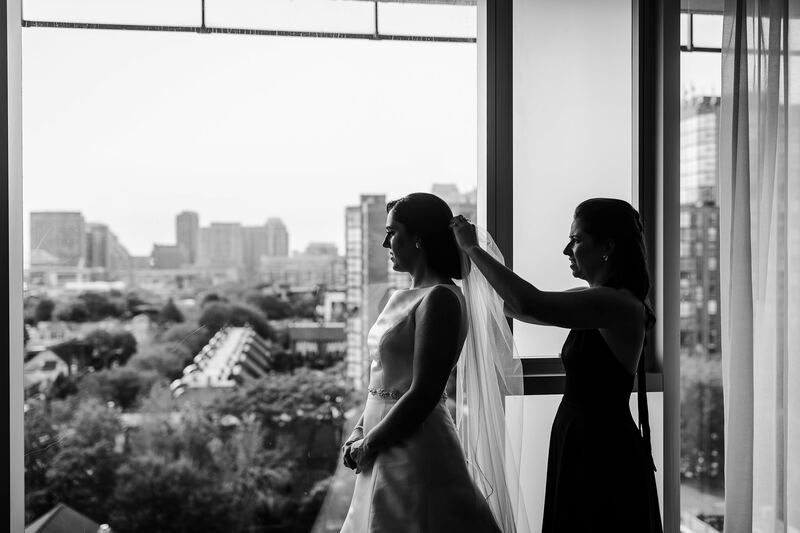 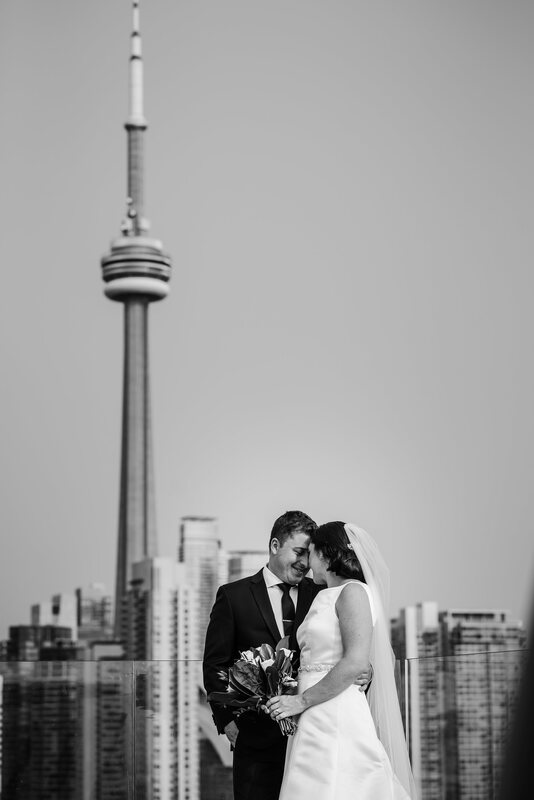 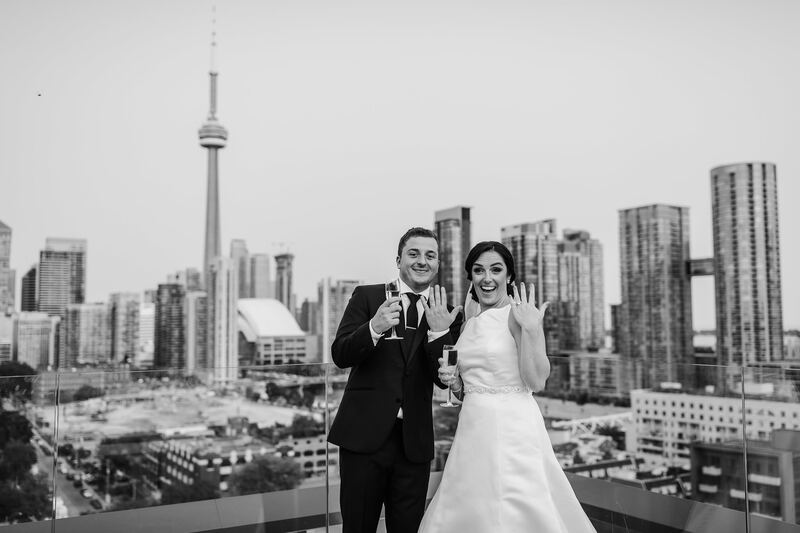 Getting married with the Toronto skyline in the background and the CN tower acting as a pseudo-wedding party member, who can say no to that? 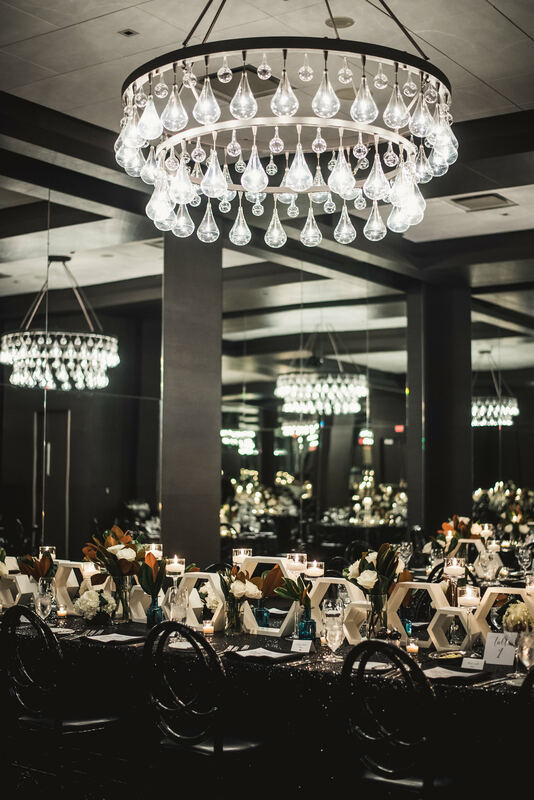 The ballroom at the Thompson hotel is a beautiful, dark and moody, mirrored room. 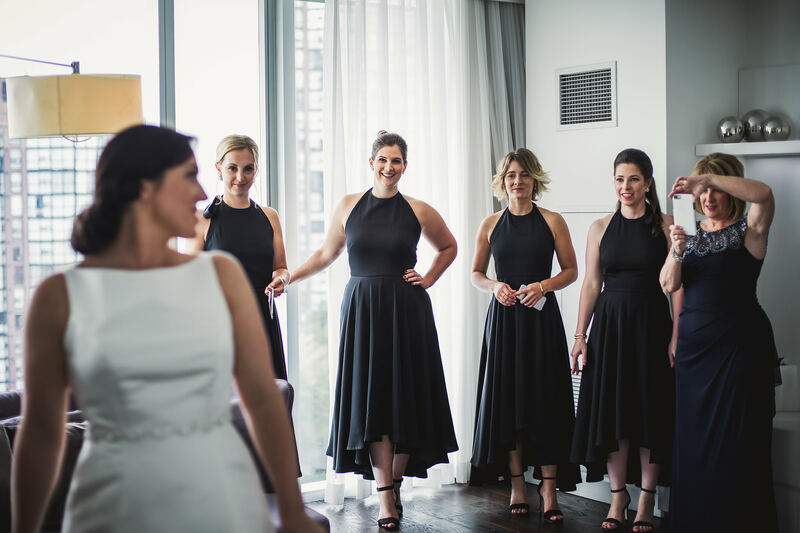 The effect of being surrounded by mirrors is absolutely surreal! 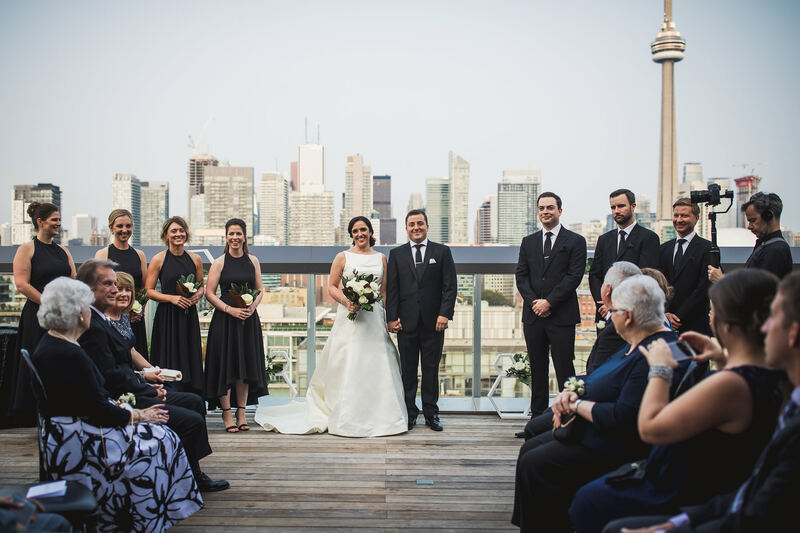 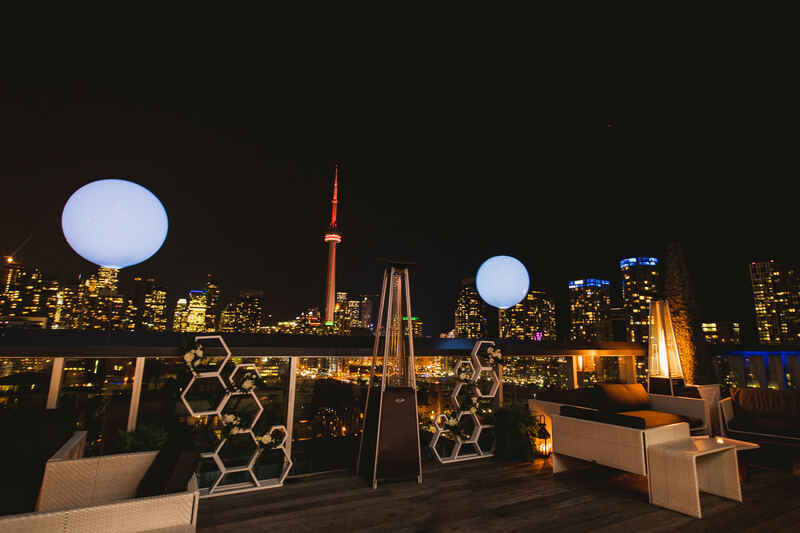 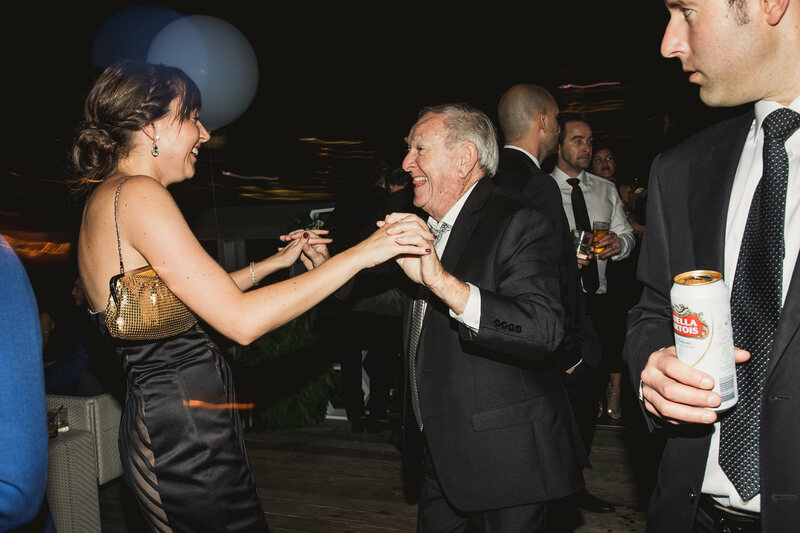 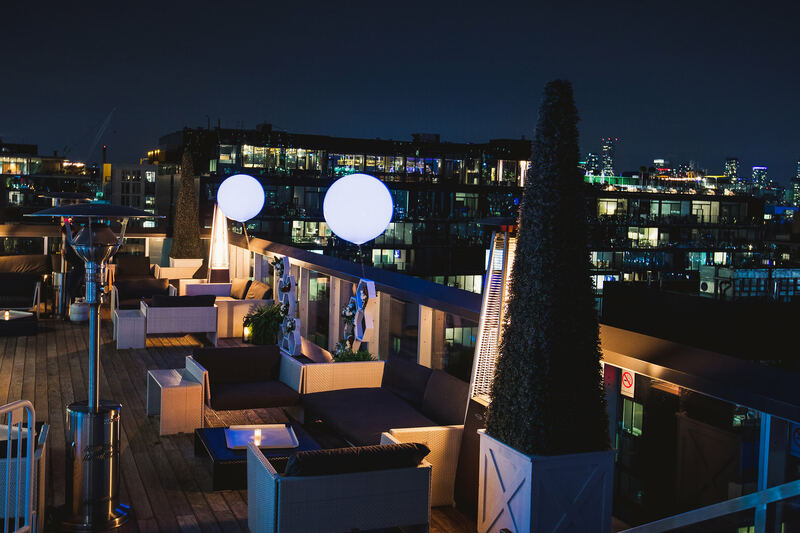 If you really want to go all-out, though, renting the rooftop terrace for your reception is the way to go. 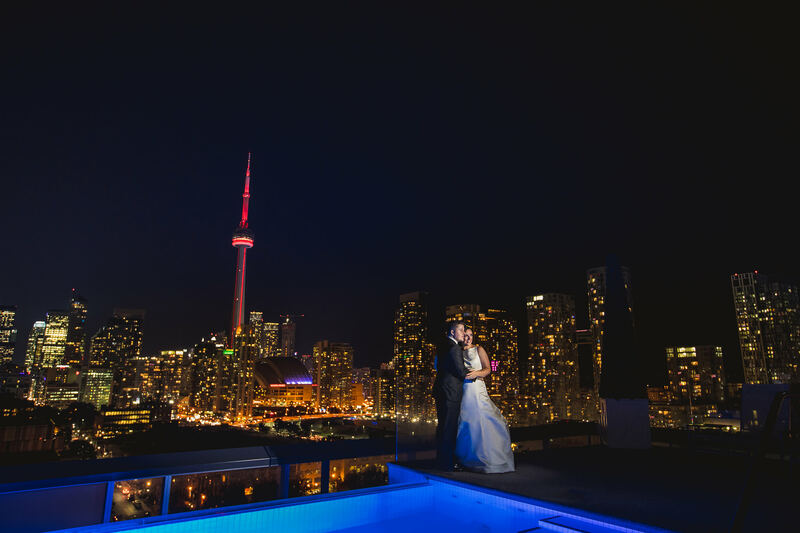 While shooting a rooftop wedding can be challenging (uh, hello – light? 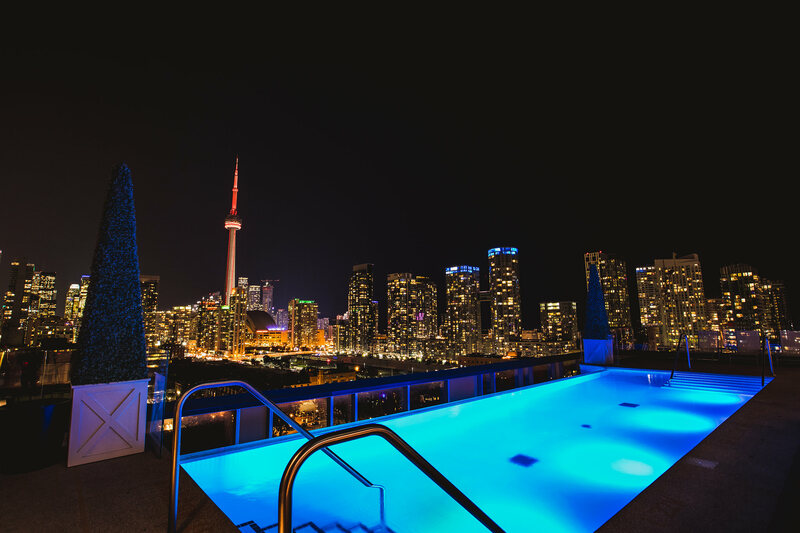 where are you!) 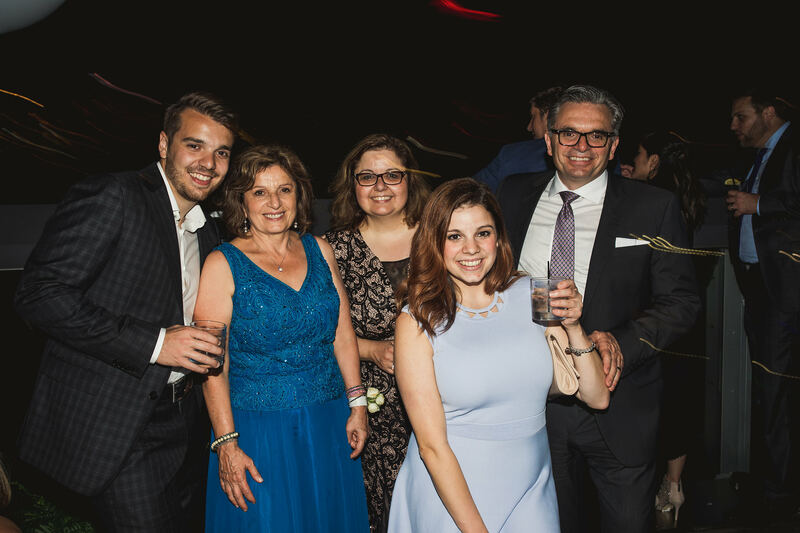 it’s a challenge that we are always ready and willing to jump in for and I’m sure you can tell by the photos that it was one rockin’ party! 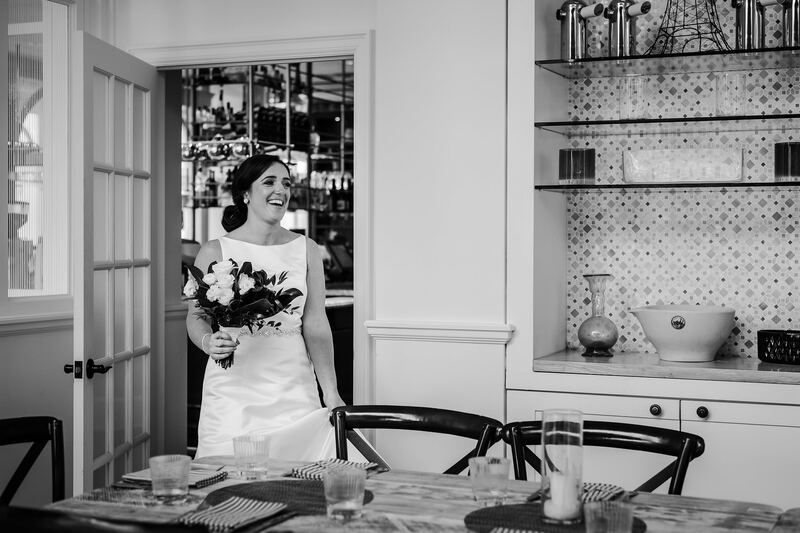 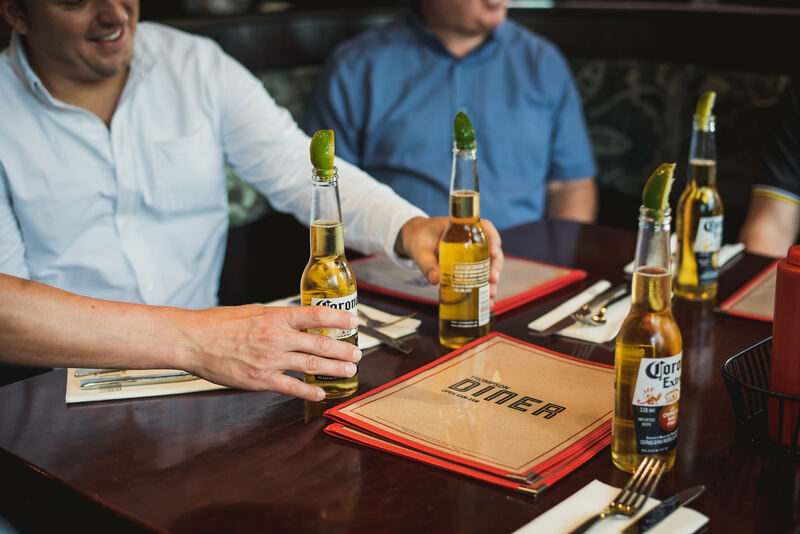 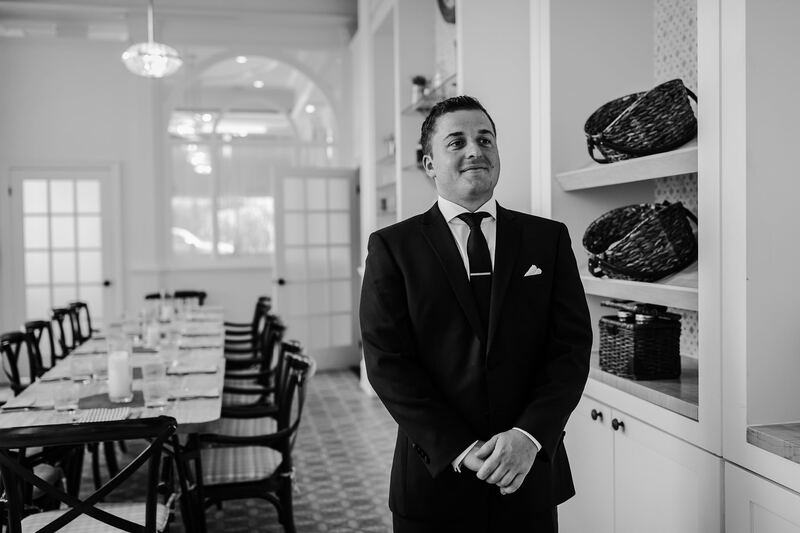 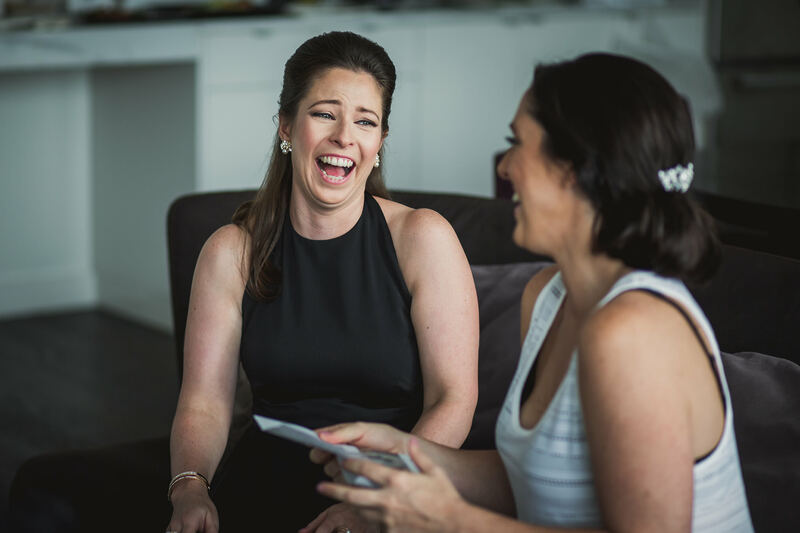 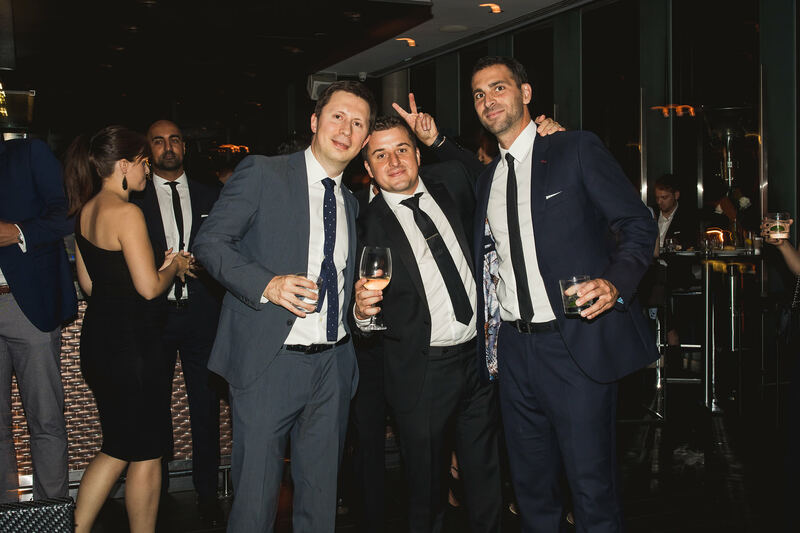 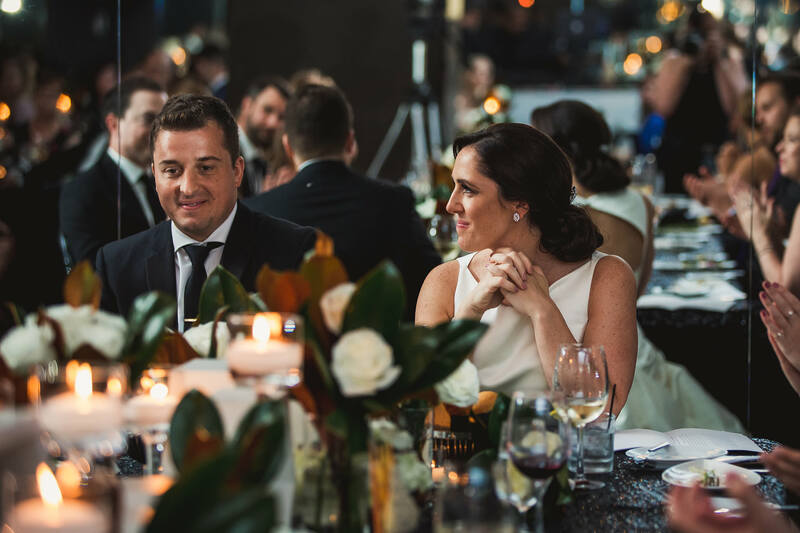 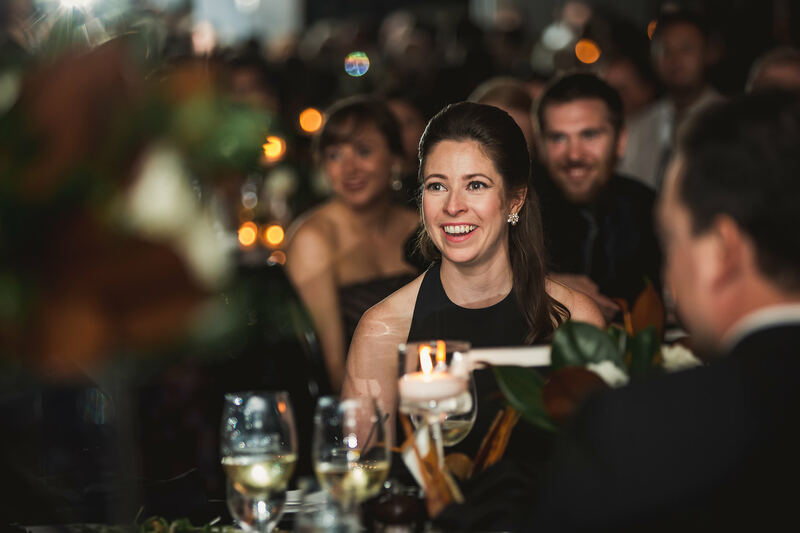 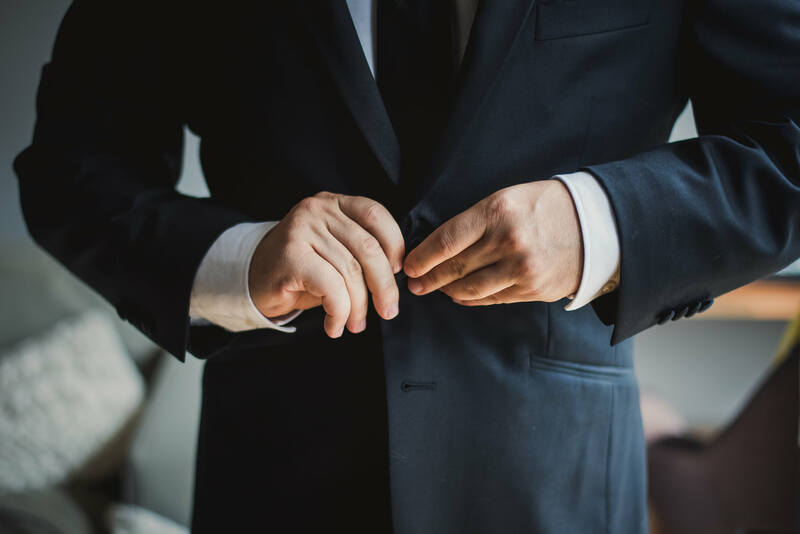 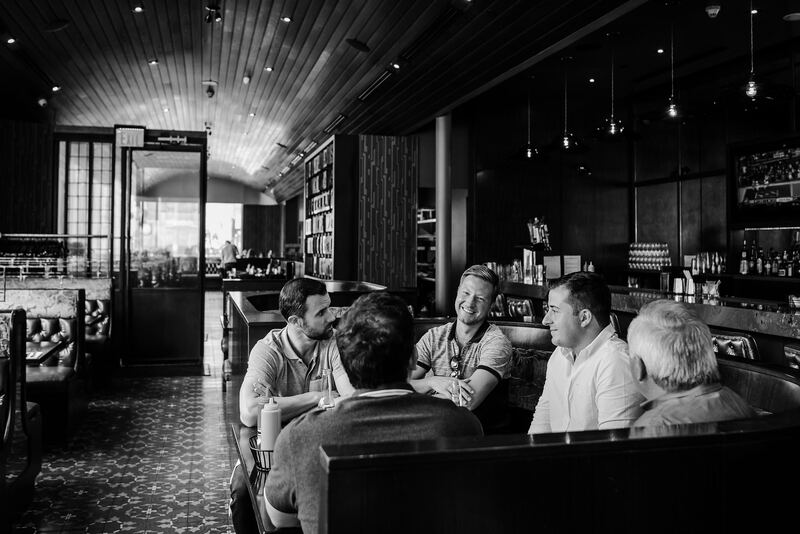 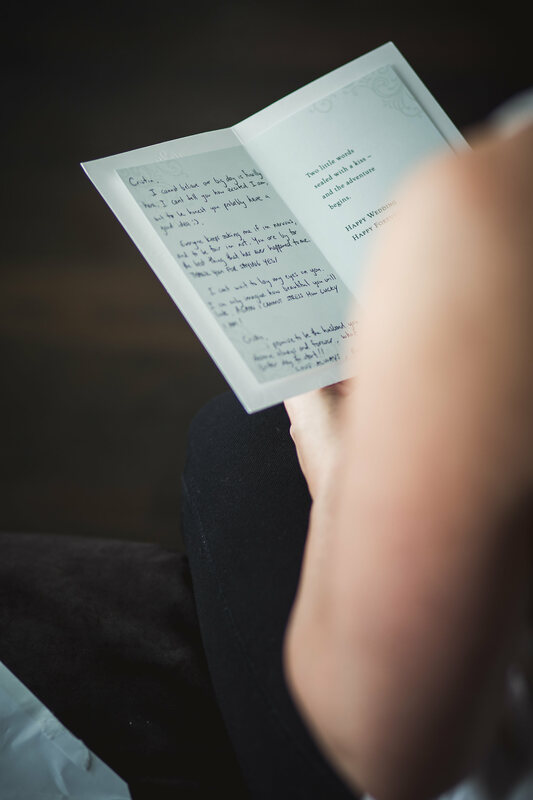 Ensure you have open communication with your event co-ordinator to make sure that your photographer is seated in the reception room with you during dinner. 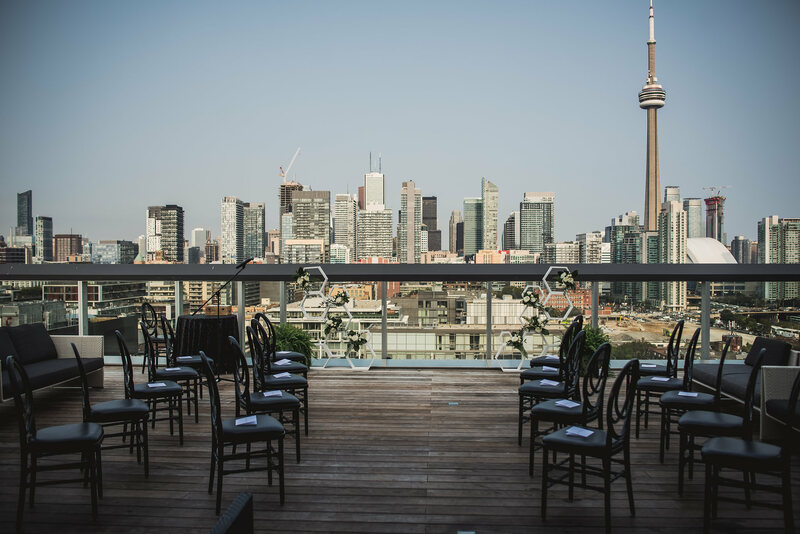 Quite a few luxury locations in Toronto typically seat all vendors outside of the room but that makes it basically impossible to capture the events that are going on in the room. 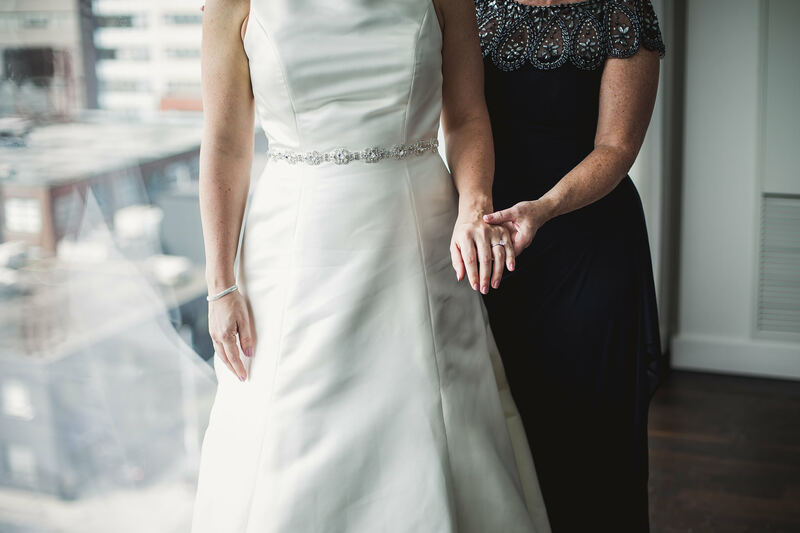 Have this discussion as early as possible to make arrangements. 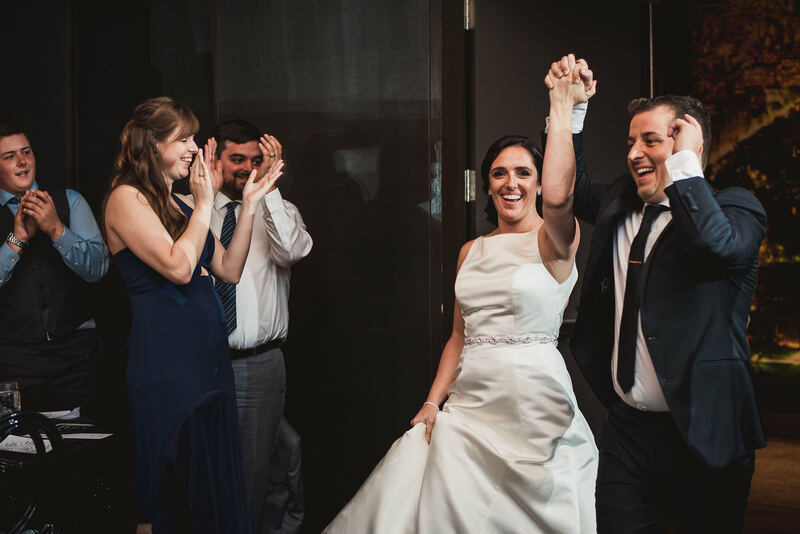 If your venue won’t change their policy you’ll likely need an extra photographer to help provide coverage. 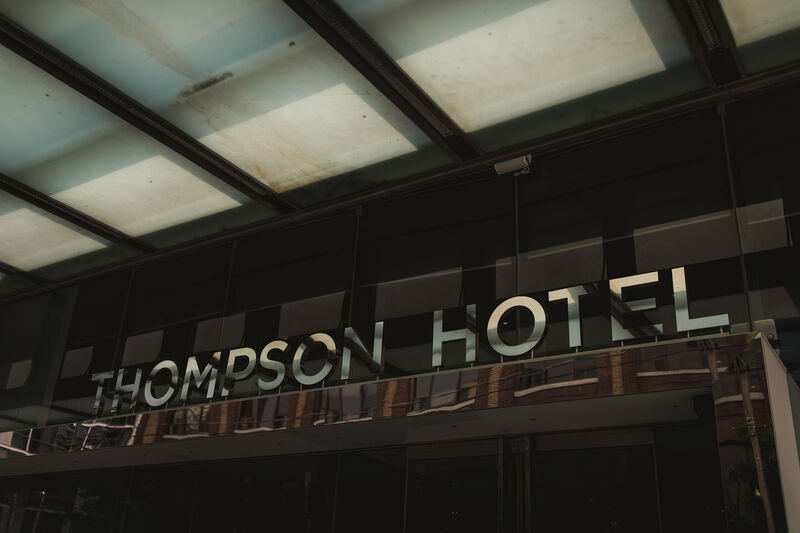 Rainy days are no worries at all – there are a lot of indoor locations when shooting a Thompson Hotel wedding but alas, the roof if not weather proof. 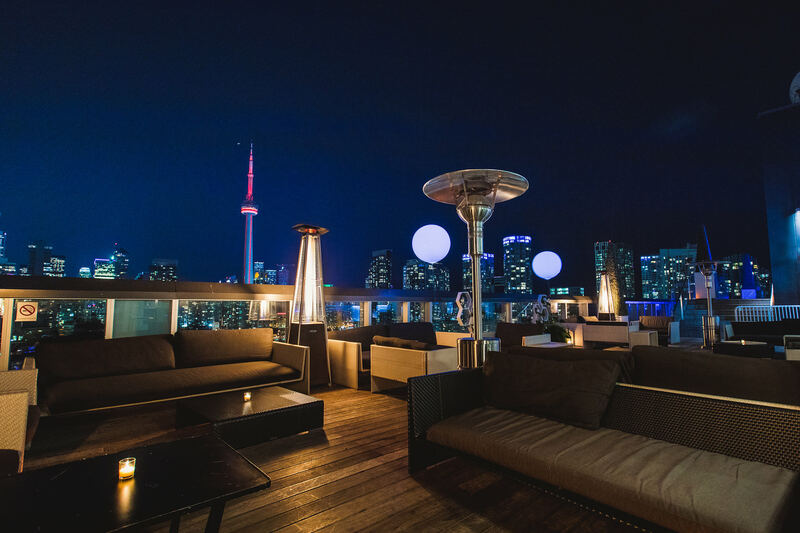 If it looks like rain, make sure to grab a few umbrellas so that you can still use that amazing view! 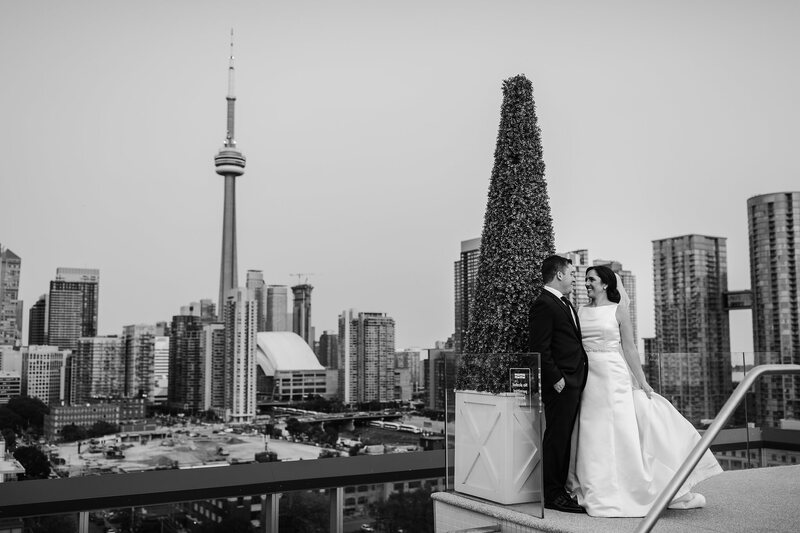 Speaking of rooftops – it can get pretty darn windy up there. 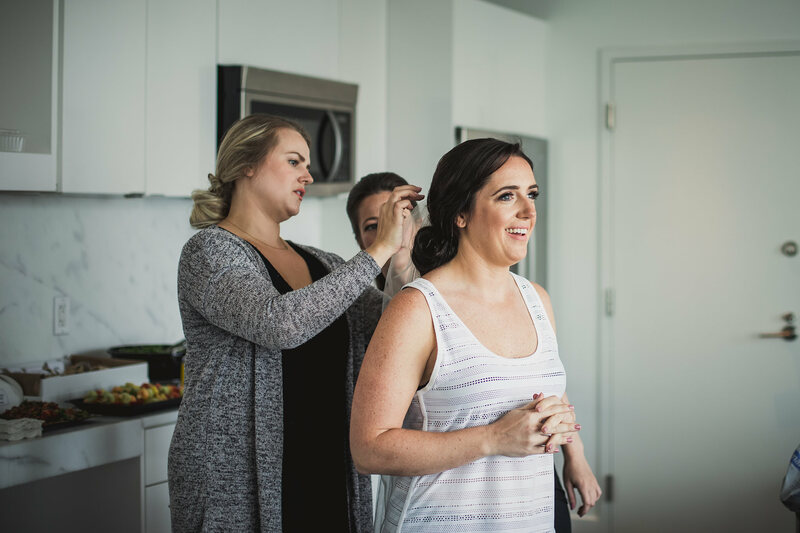 Keep that in mind when choosing a hairstyle! 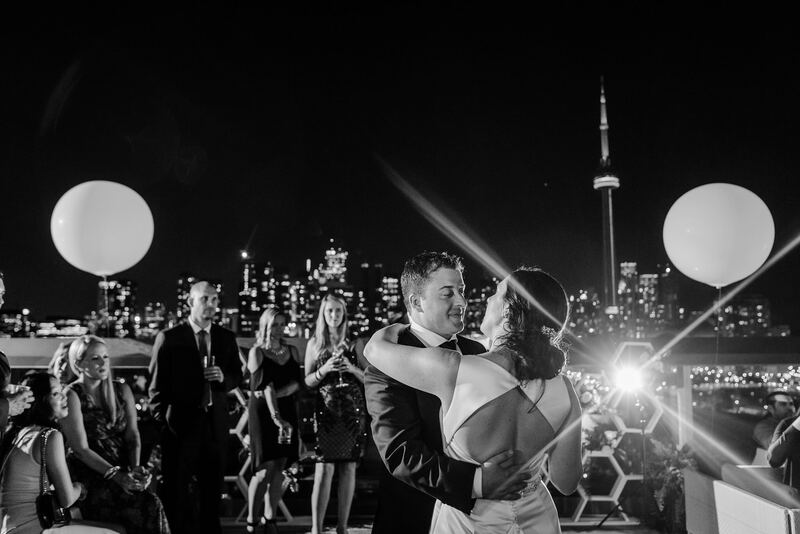 For any kind of outdoor ceremony, be cautious of light. 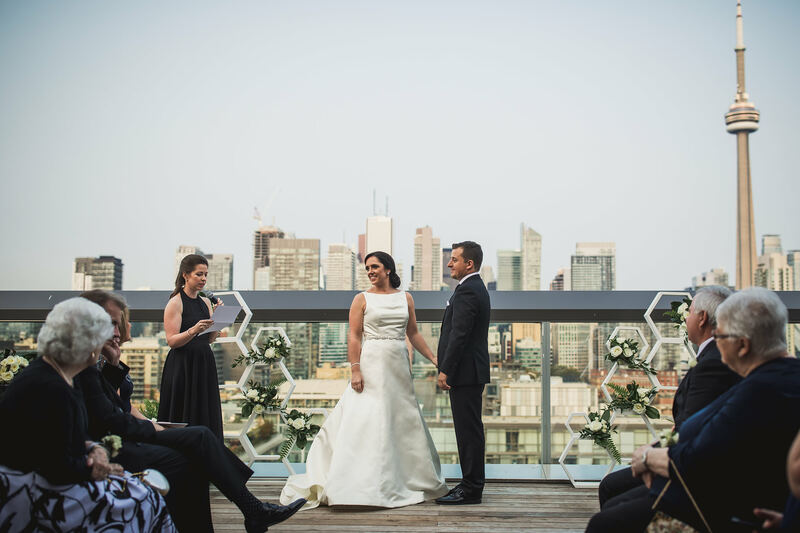 You want to have your ceremony as closet to sunset (or at least late afternoon) to ensure more flattering light.